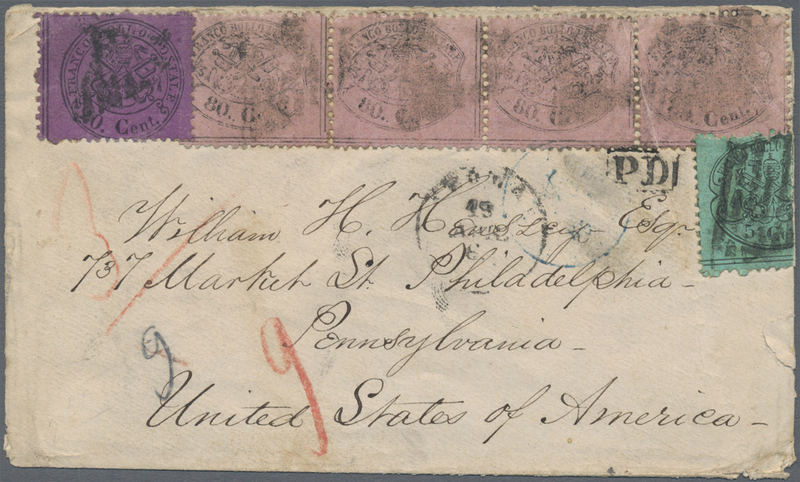 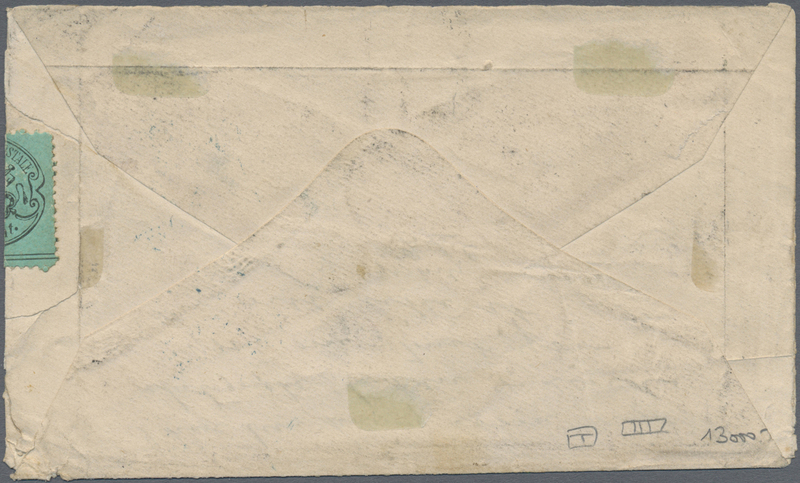 16668 Brief (cover) Sassone 30 + 28 + 25 1868, 80 cents light pink, horizontal stripe of four, with 20 cents violet and 5 cents greenish blue, Sassone 30 + 28 + 25b, on a letter to Philadelphia / USA, cancelled with a papal grid, double circle "ROME 19 APR 6." 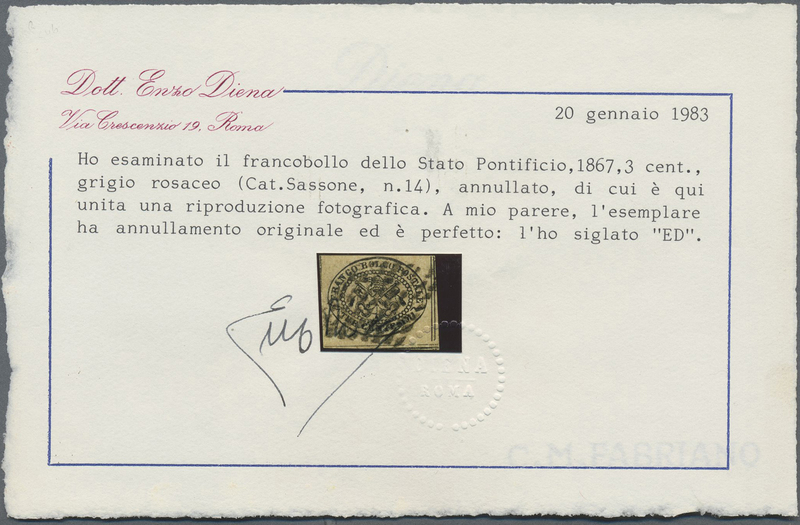 and framed "PD" alongside. 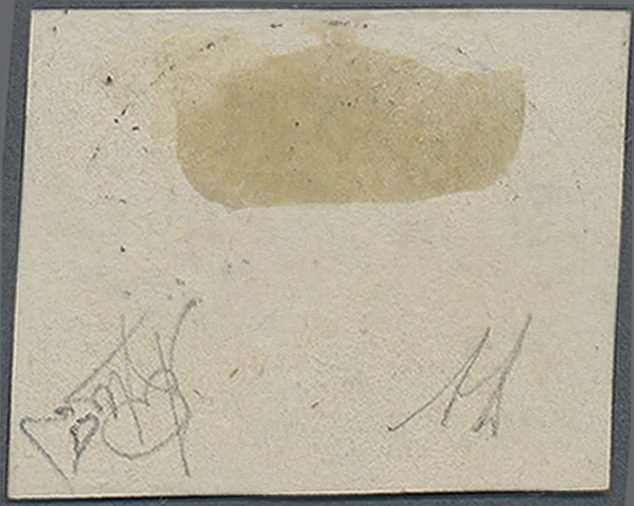 The rare strip of 80 cents presents a crease that affects the two right-hand copies, the 5-cents stamp is applied "over the fold" of the right edge; with certificate of Dr. Avi (2005). 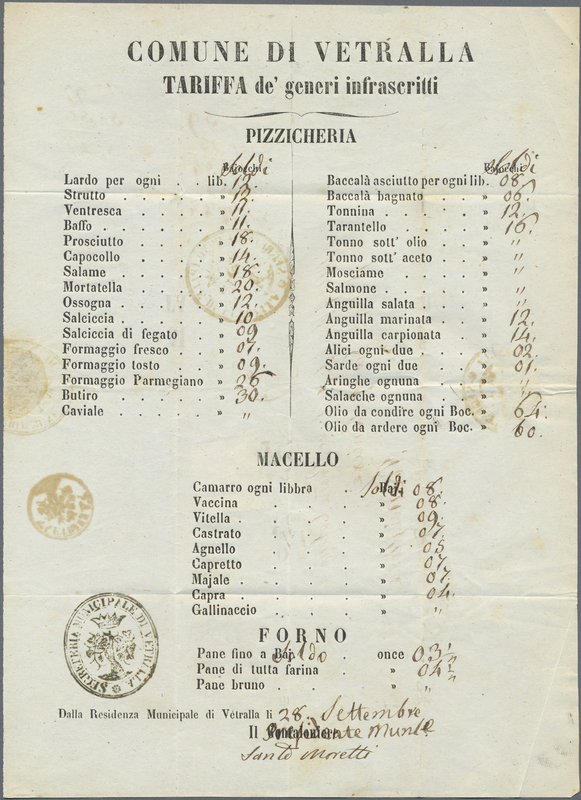 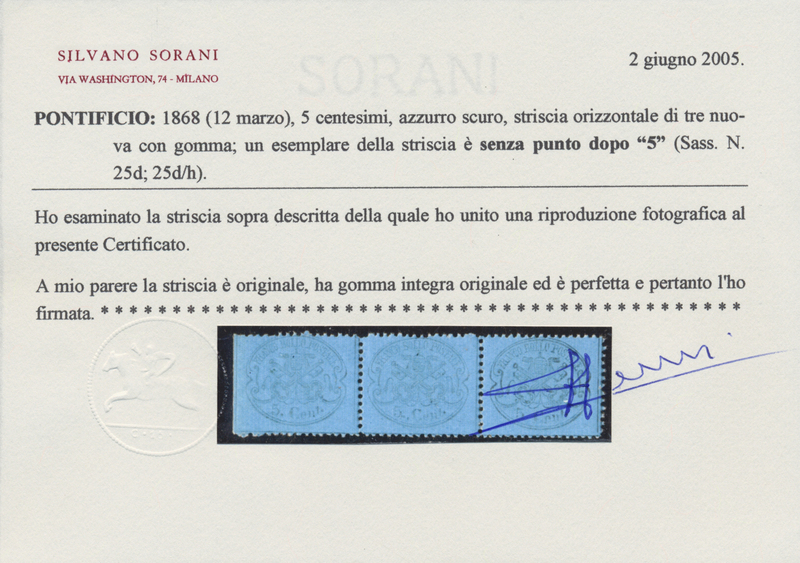 Sassone 28,000++ € (2018) ÷ 1868, 80 centesimi rosa chiaro, striscia orizzontale di quattro, con 20 centesimi solferino e 5 centesimi azzurro verdastro, Sassone 30 + 28 + 25b, su lettera diretta a Philadelphia/USA, annullati con timbro a griglia, a lato timbro a doppio cerchio "ROMA 19 APR 6." 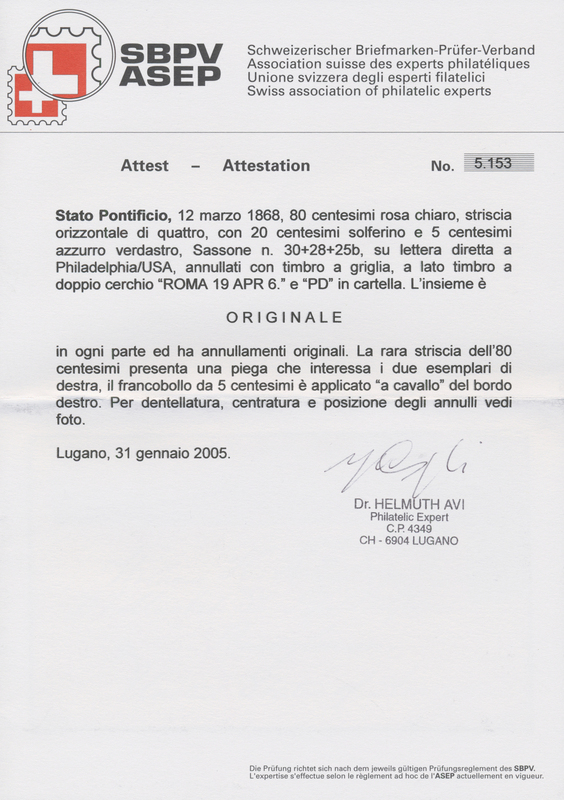 e "PD" in cartella. 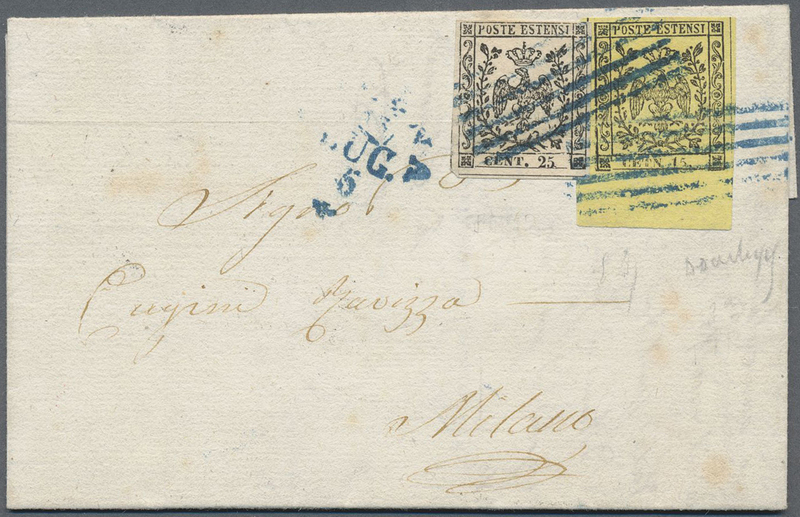 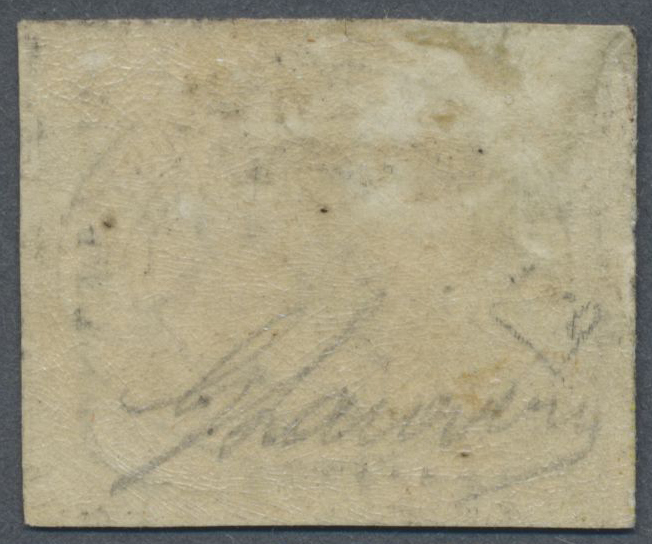 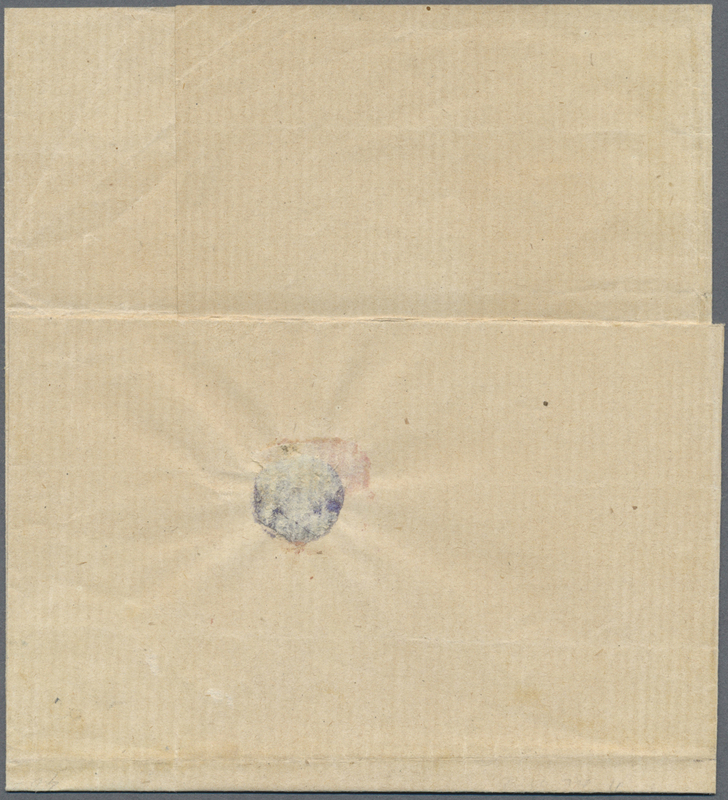 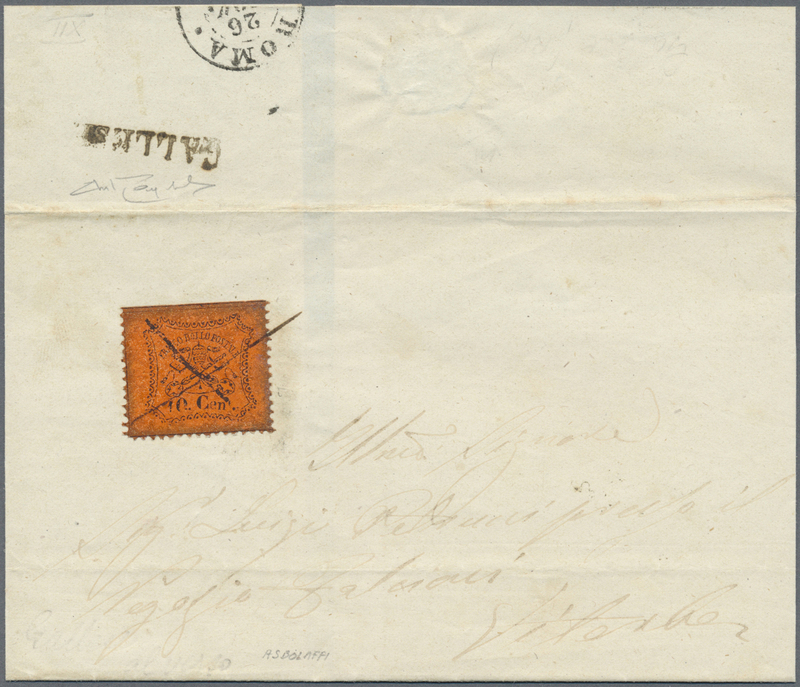 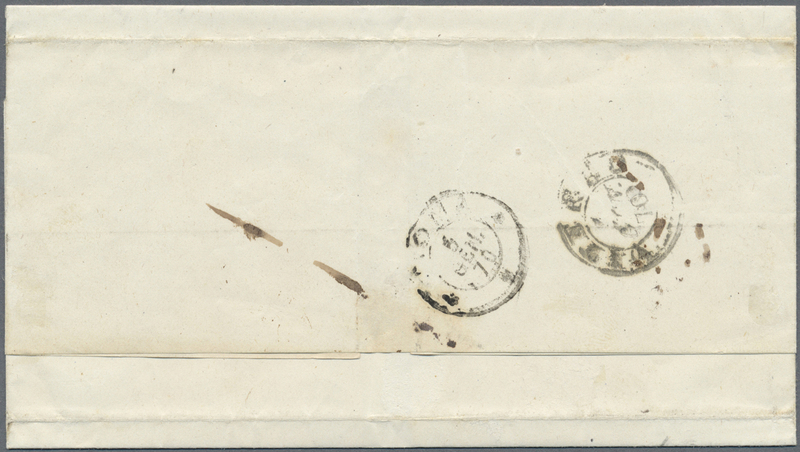 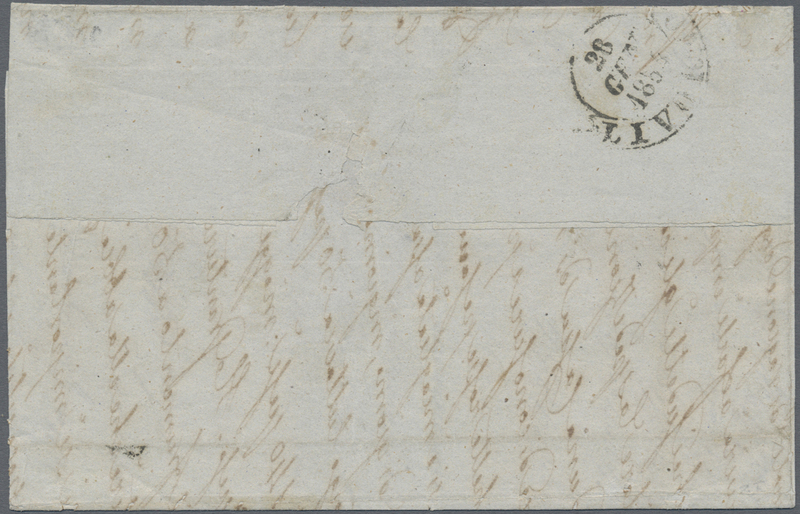 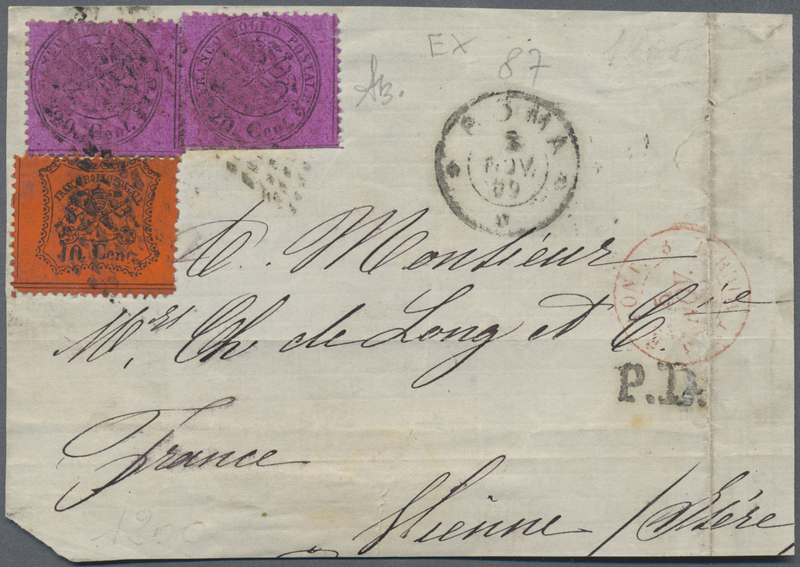 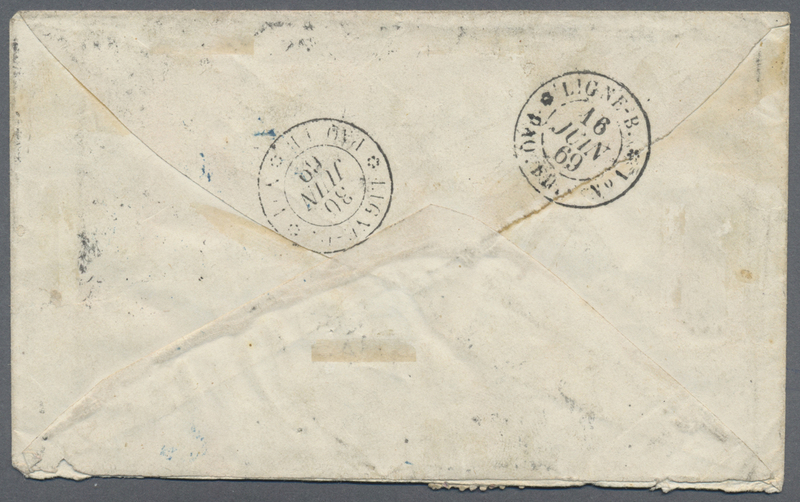 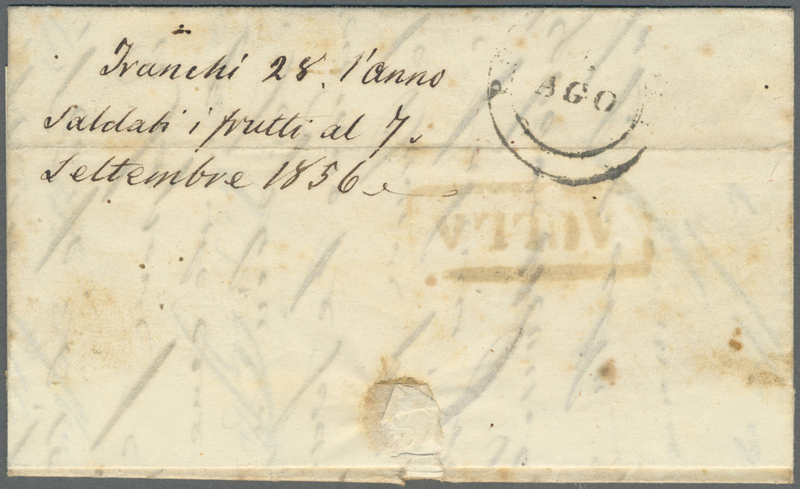 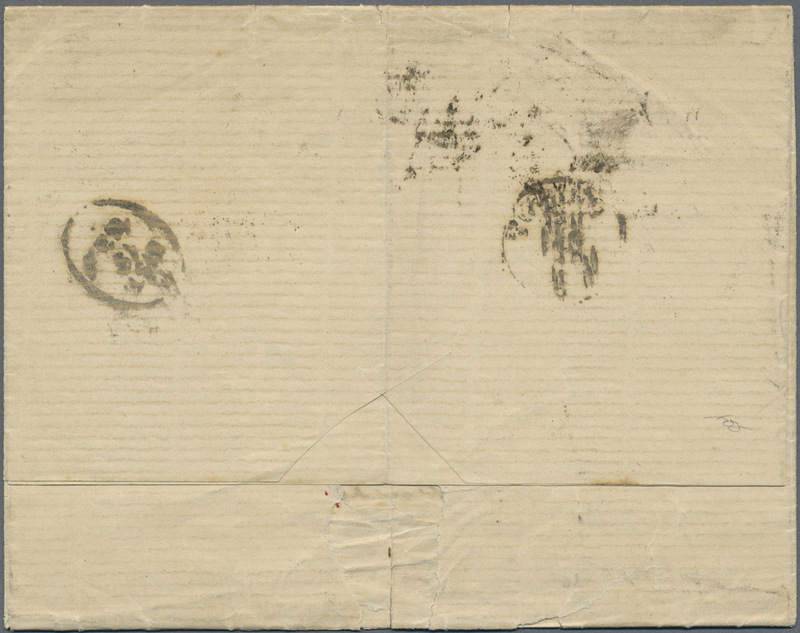 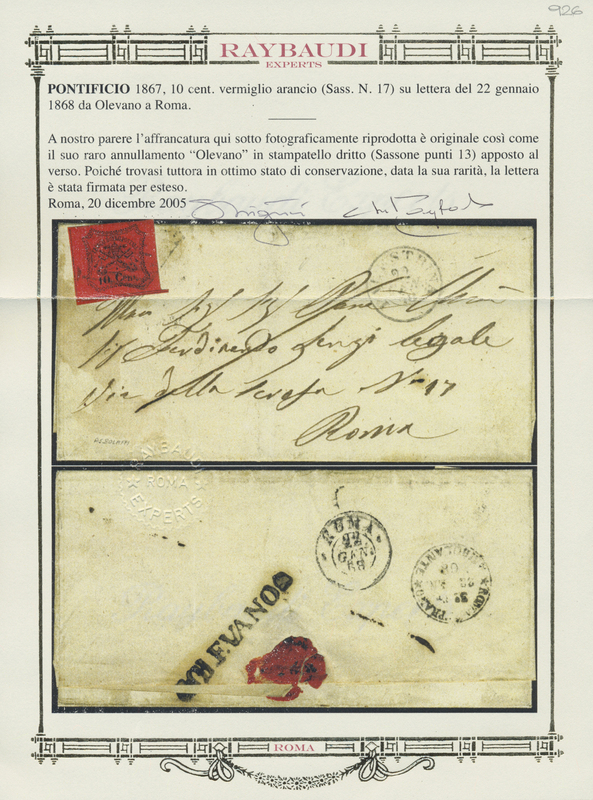 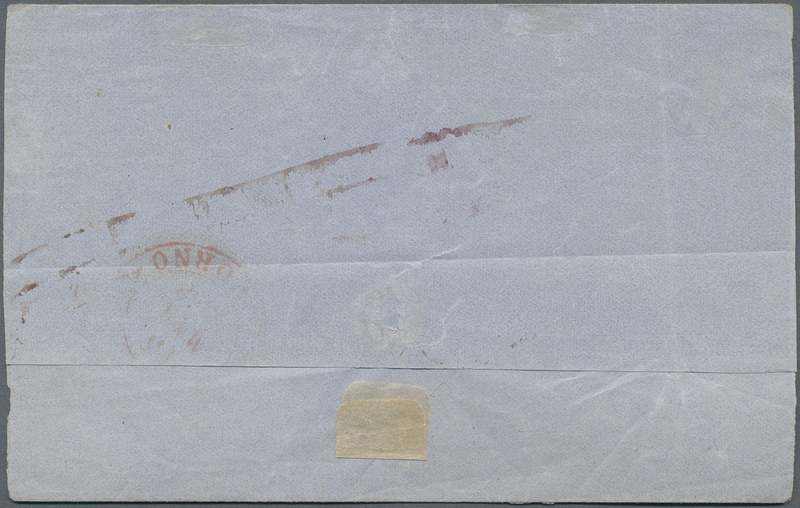 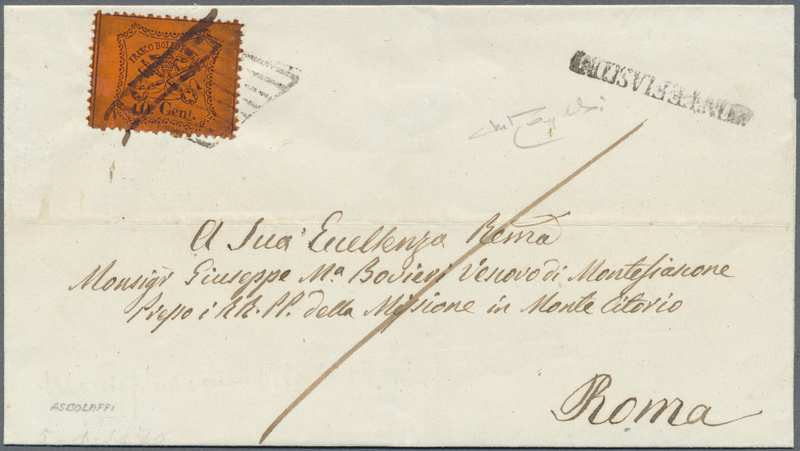 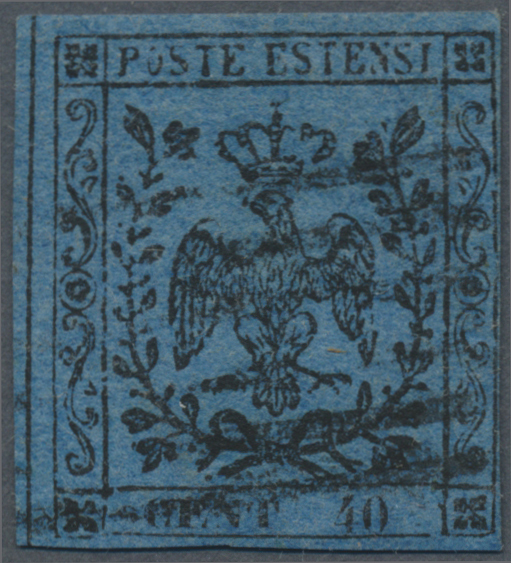 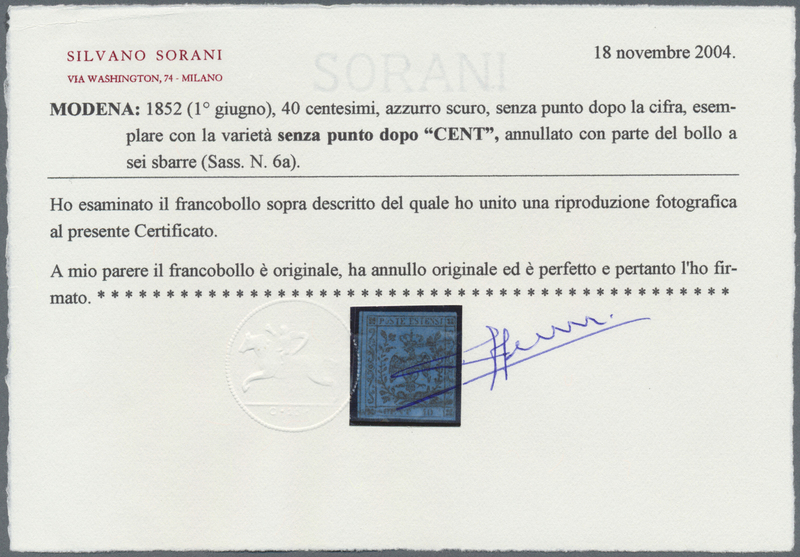 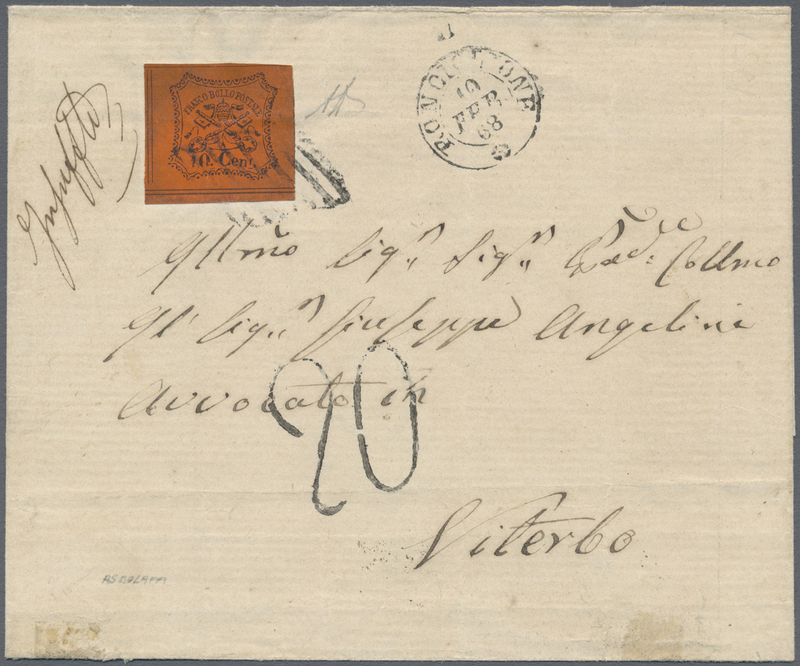 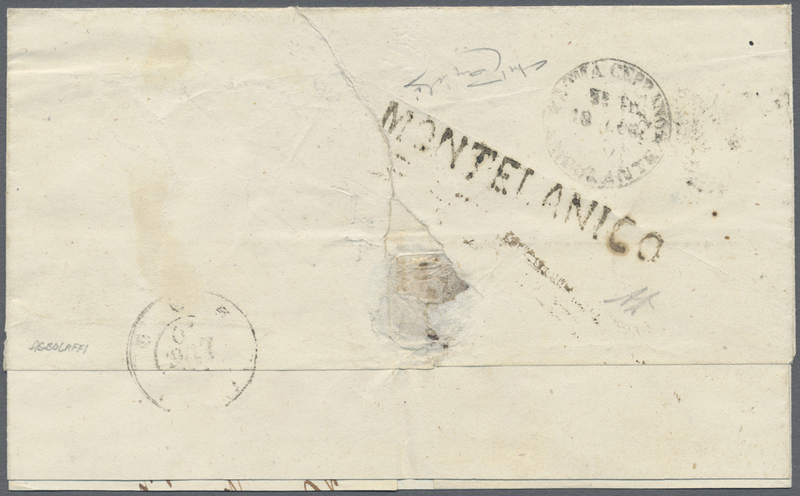 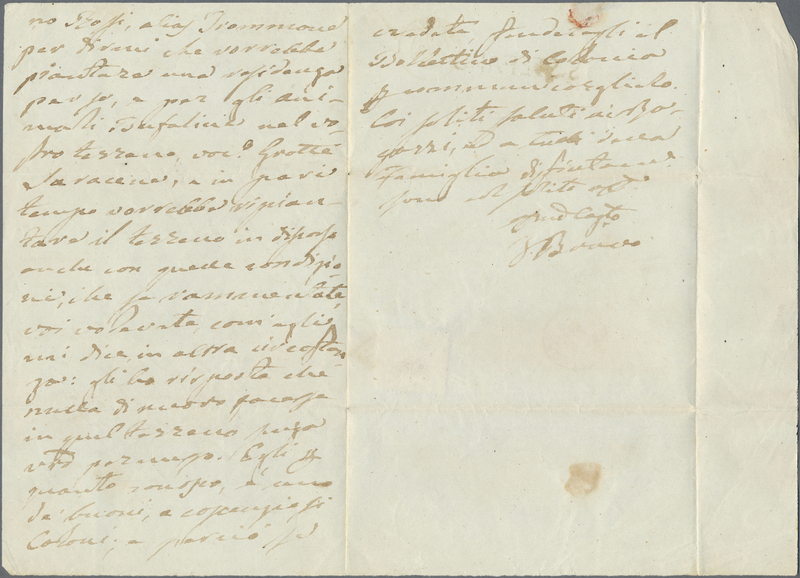 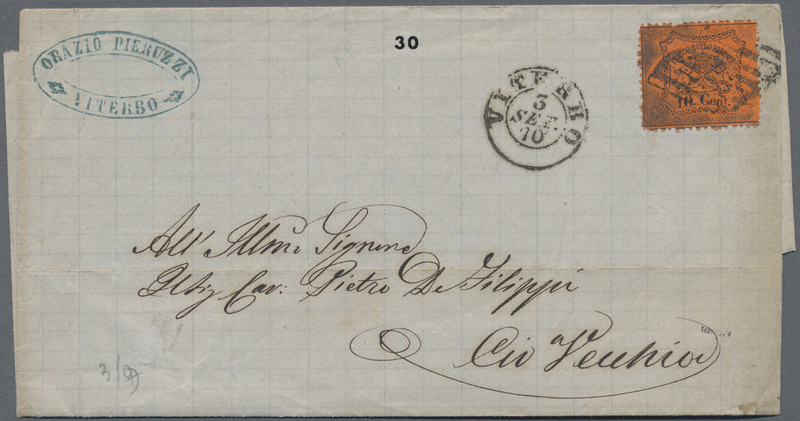 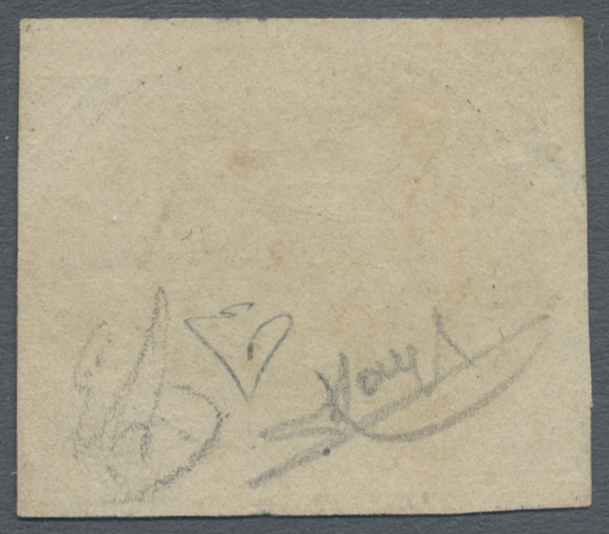 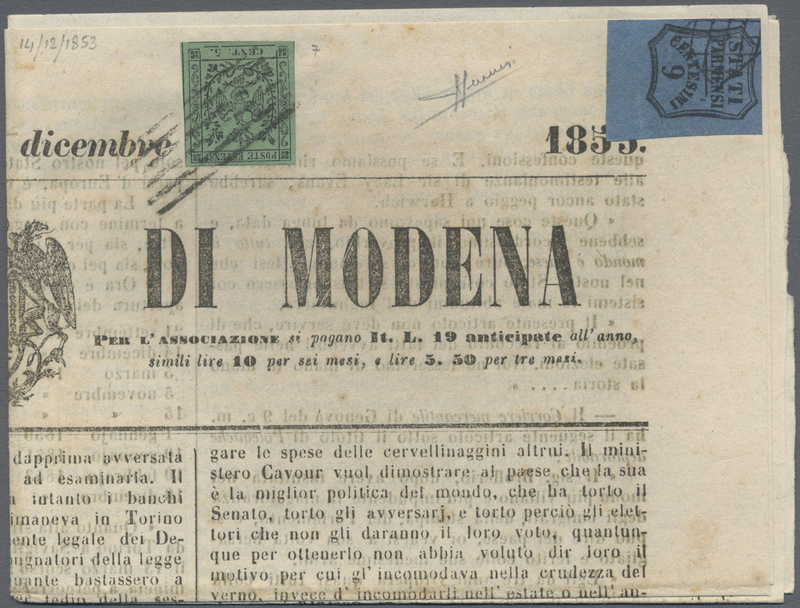 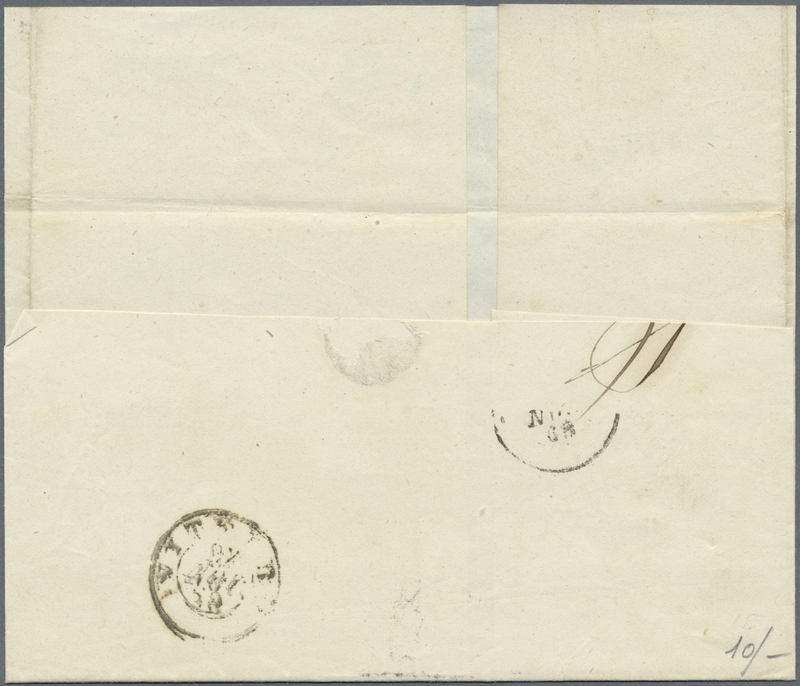 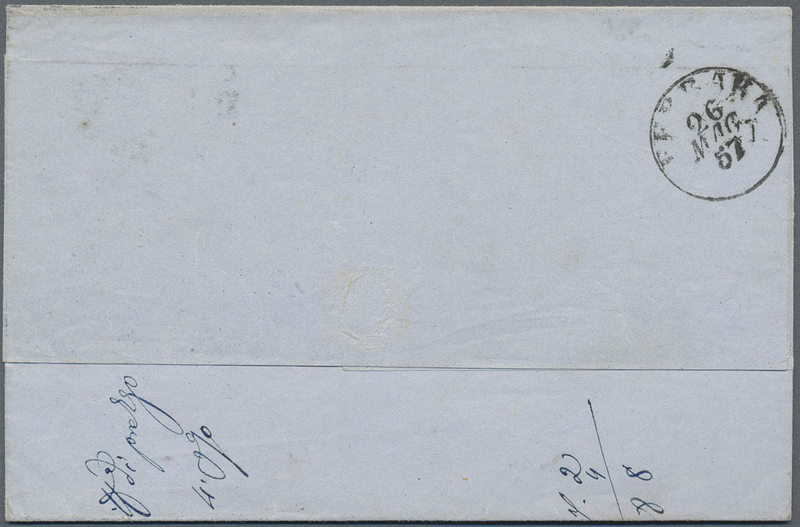 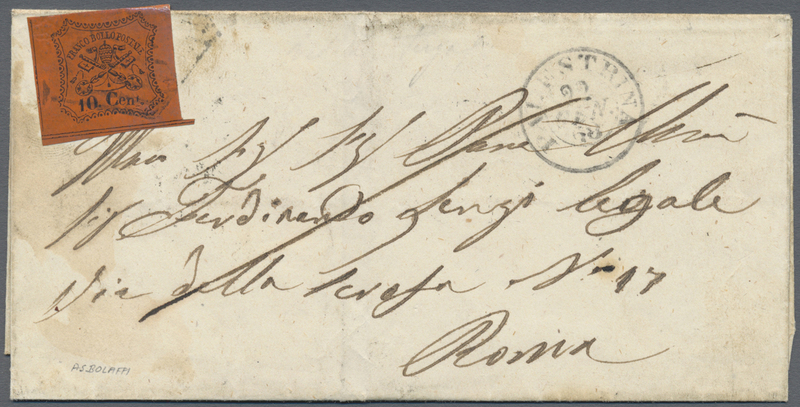 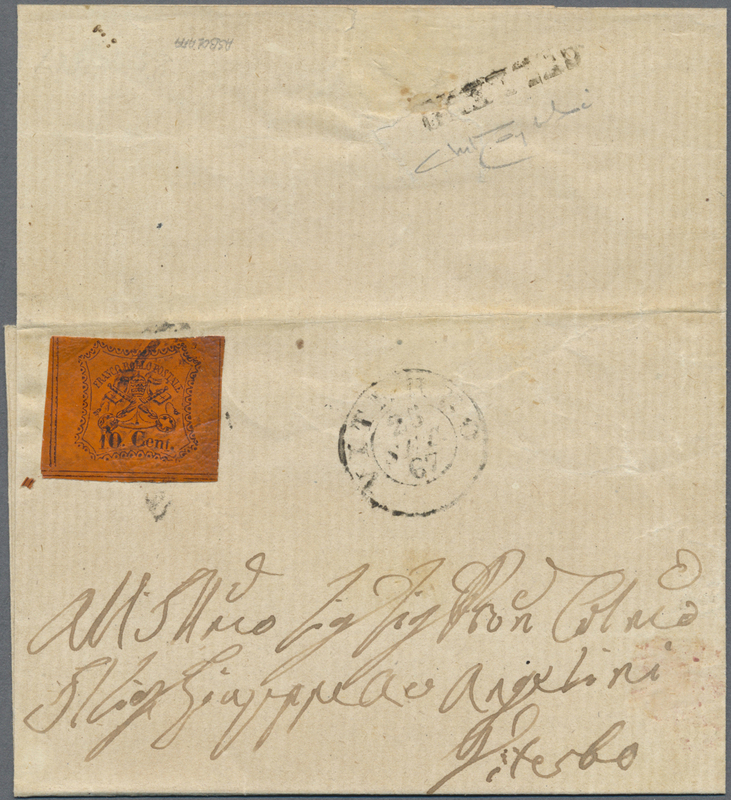 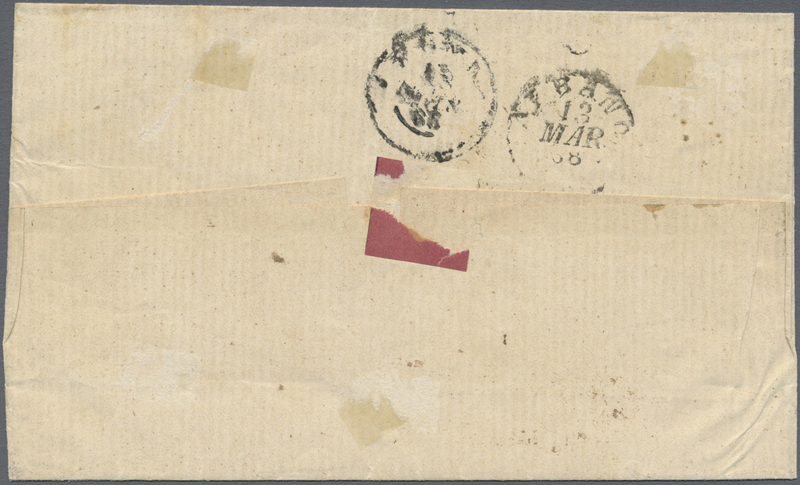 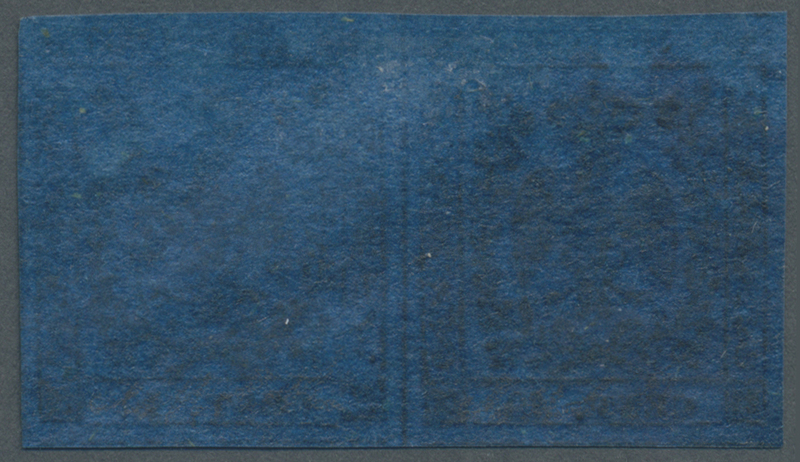 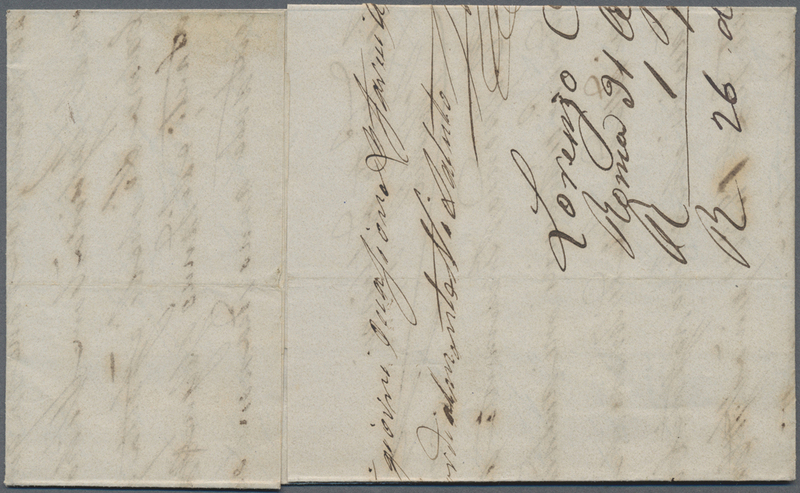 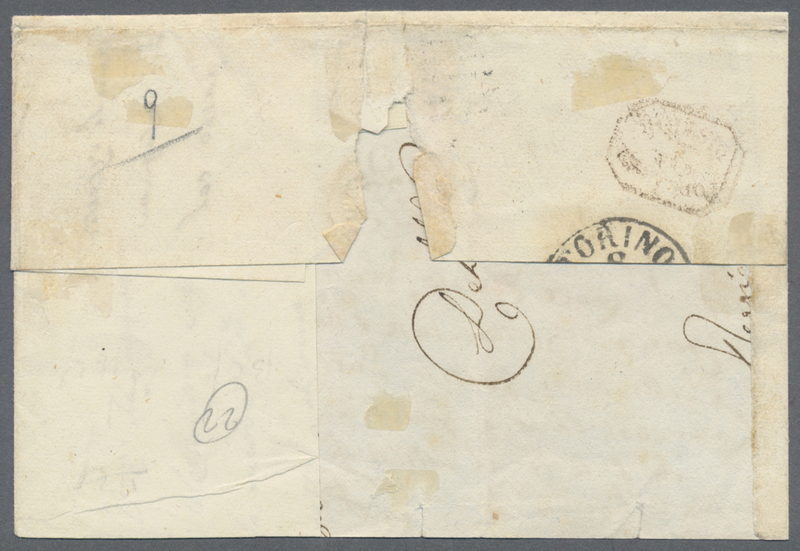 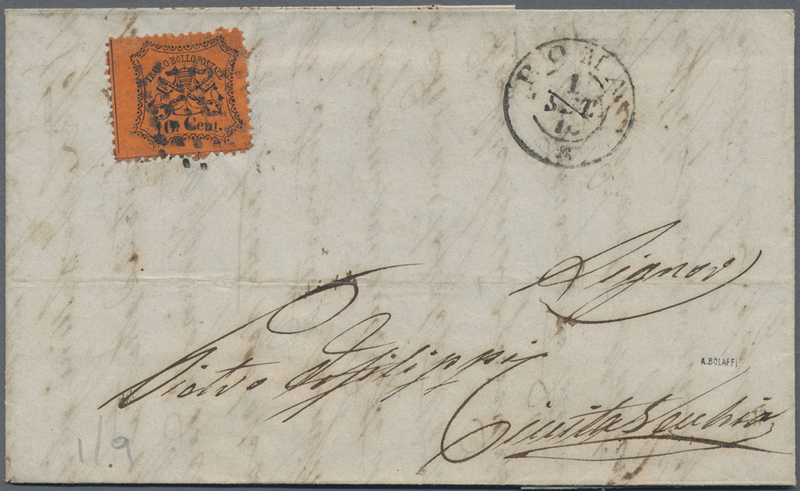 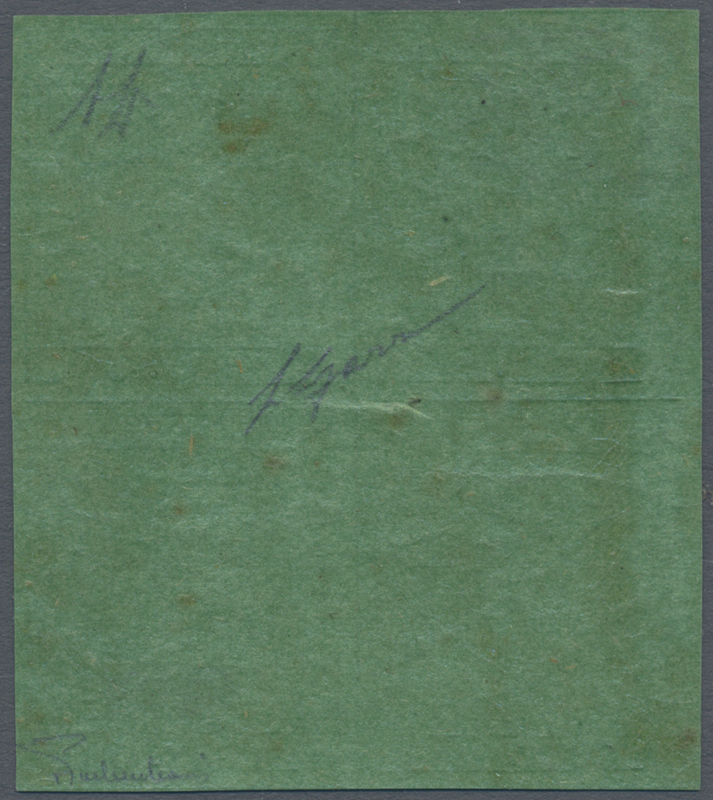 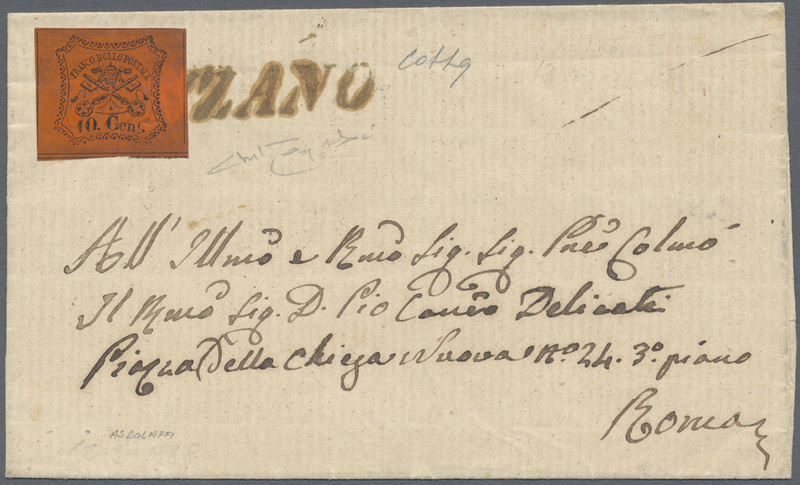 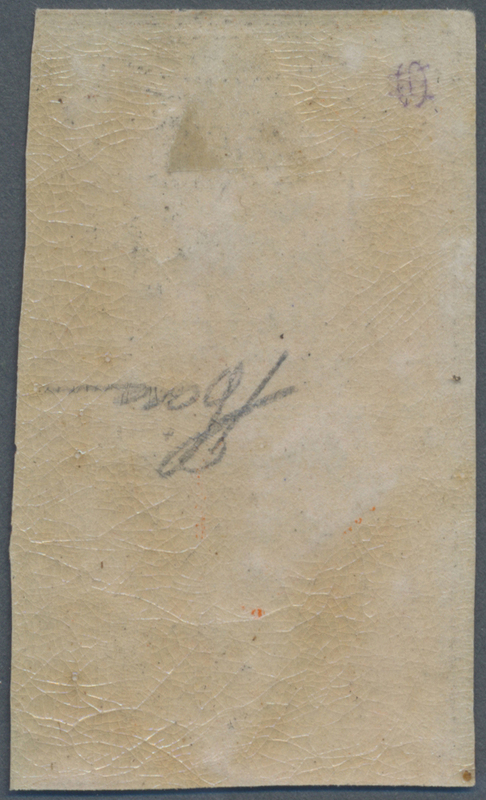 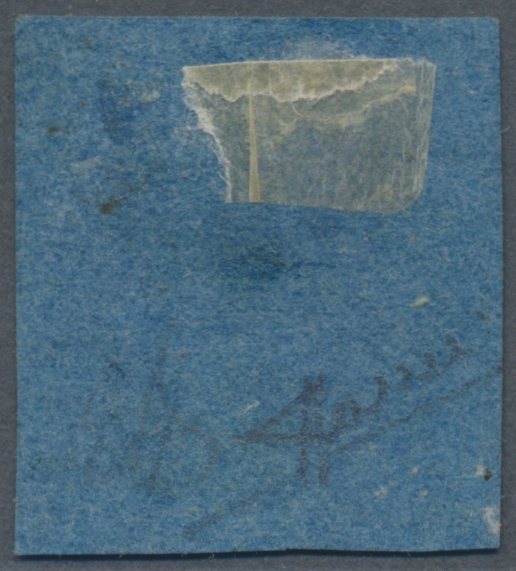 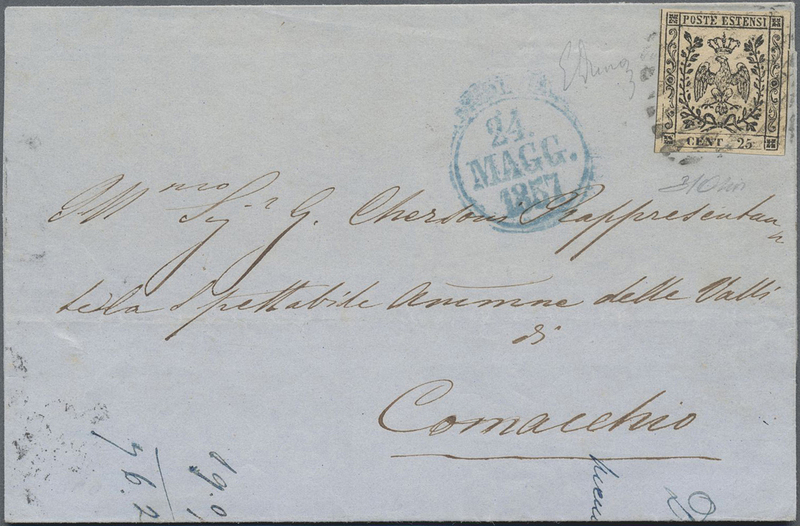 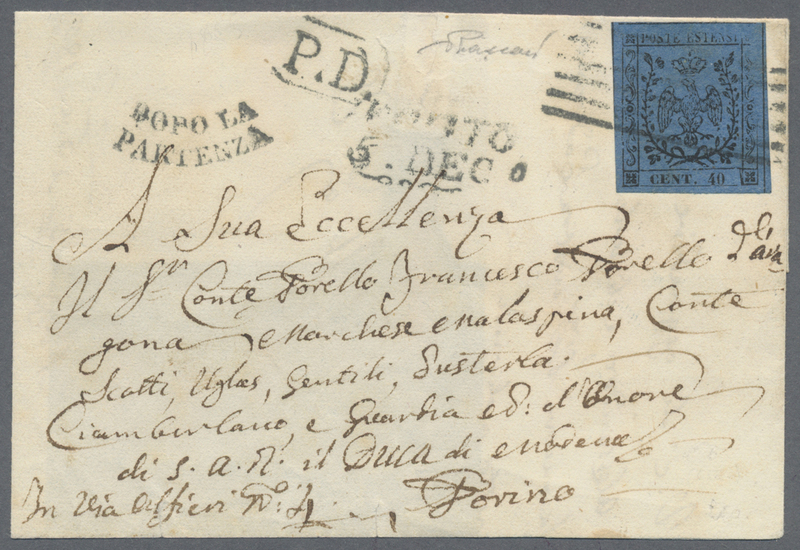 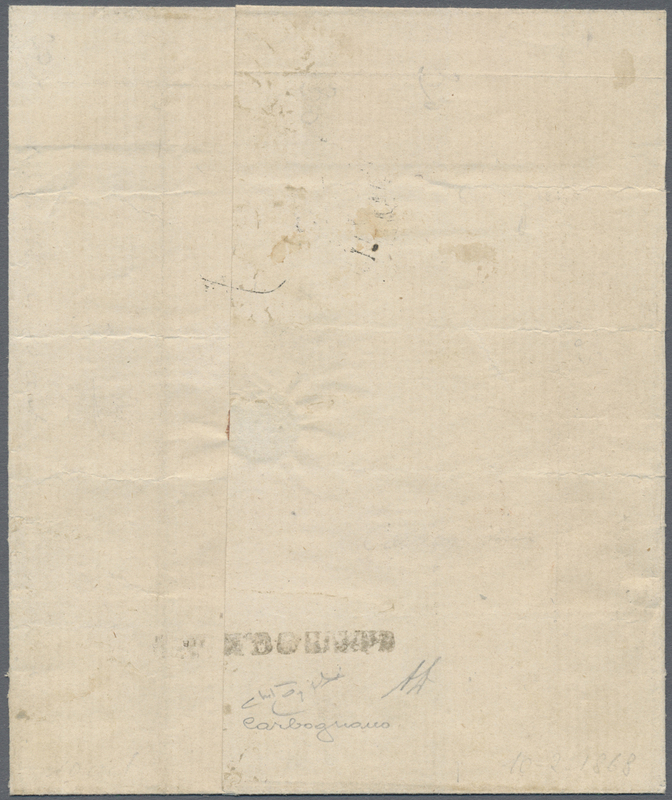 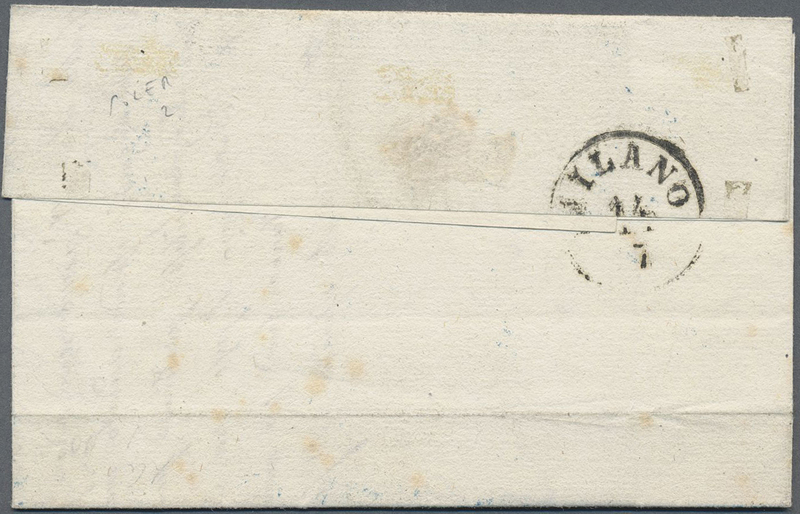 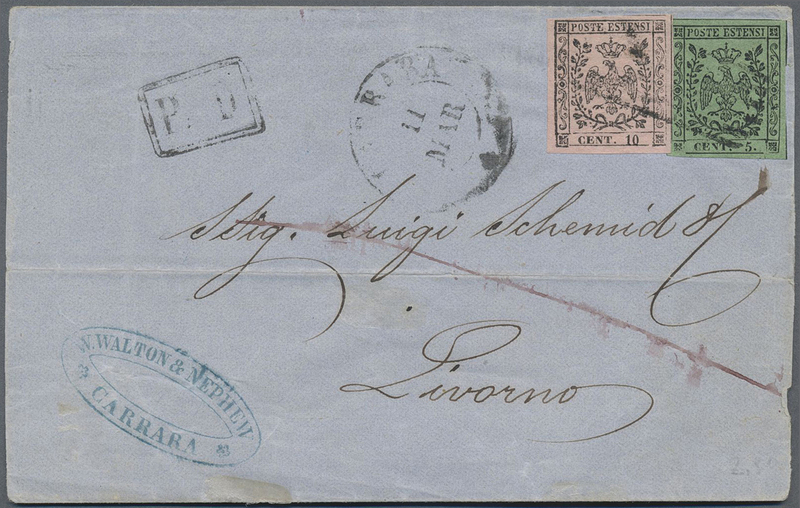 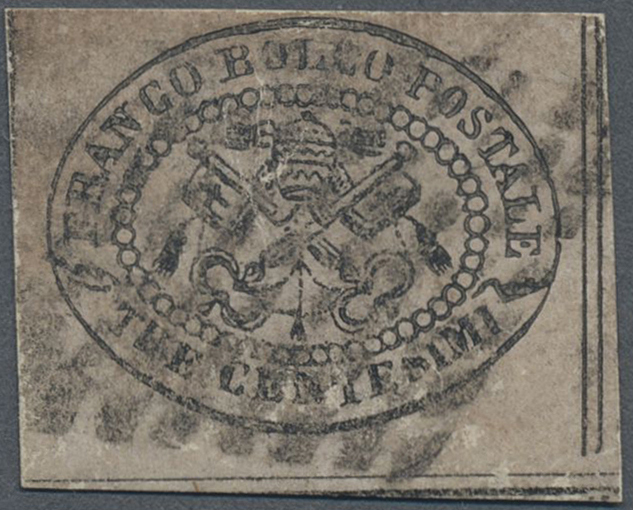 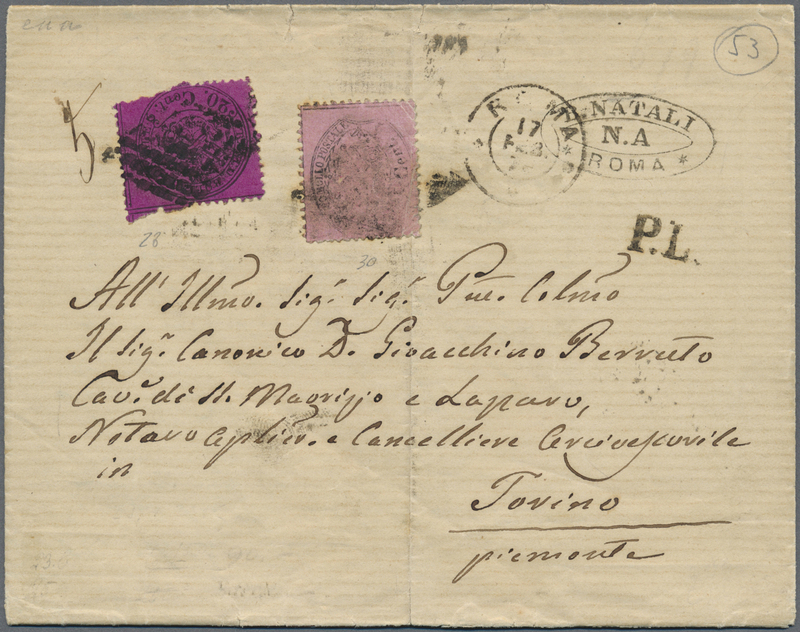 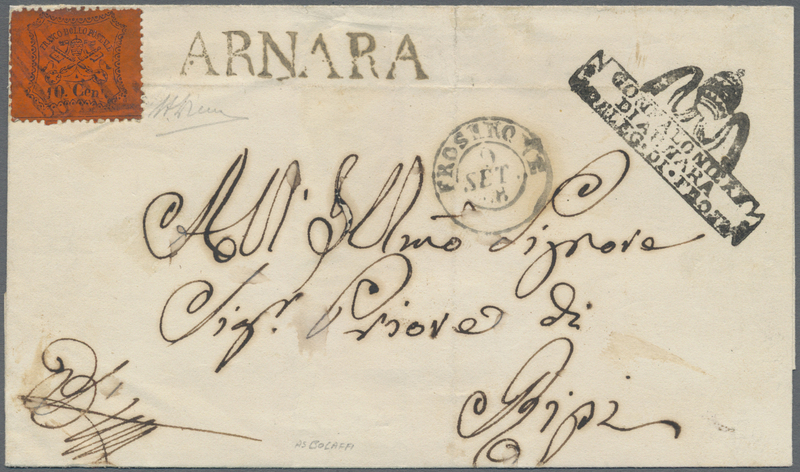 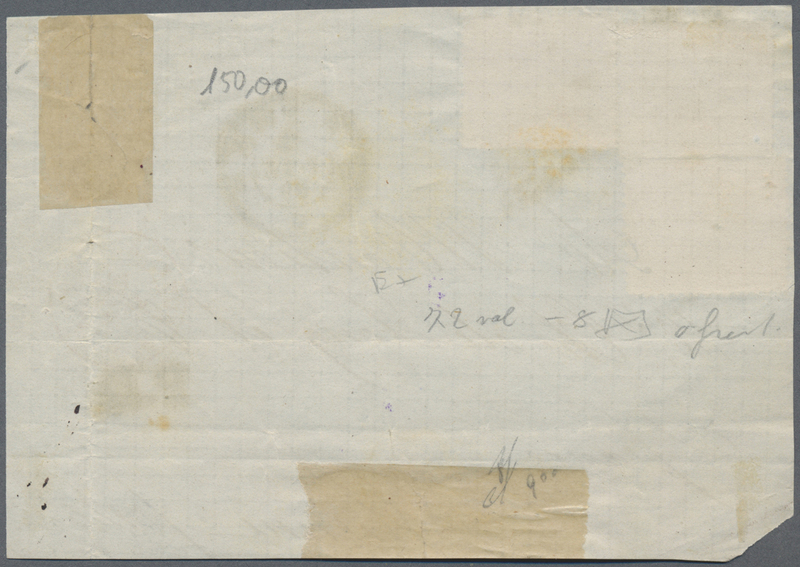 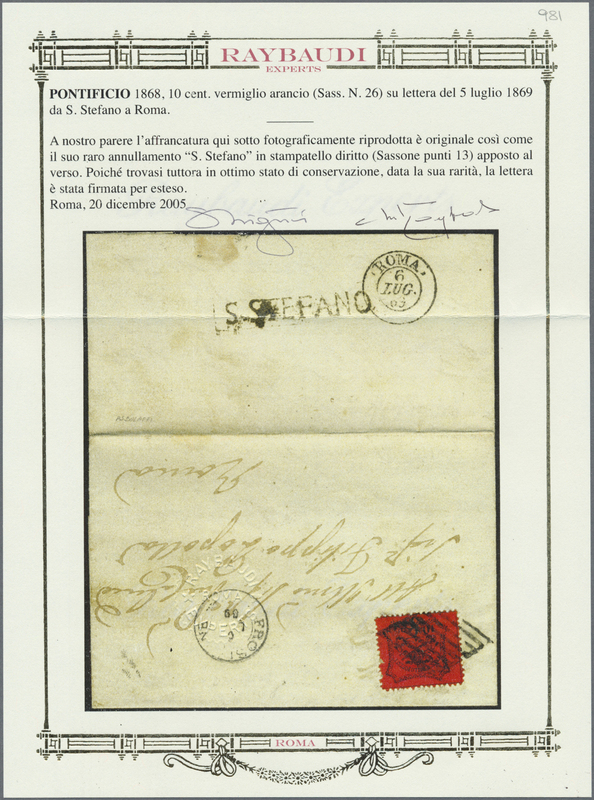 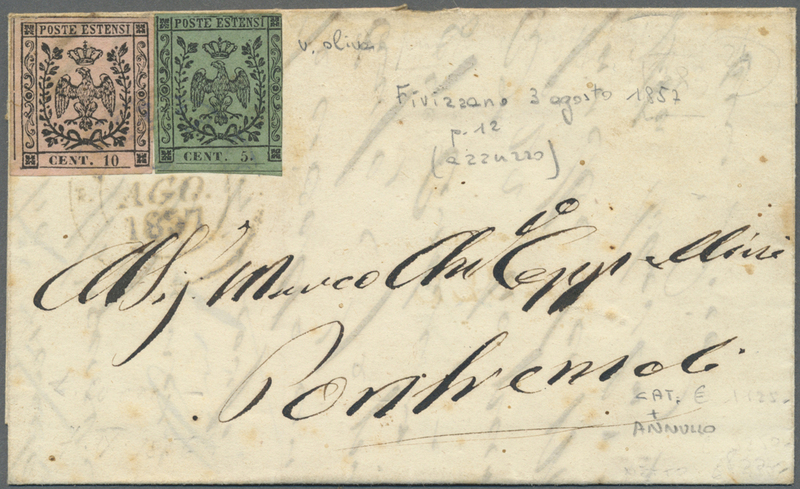 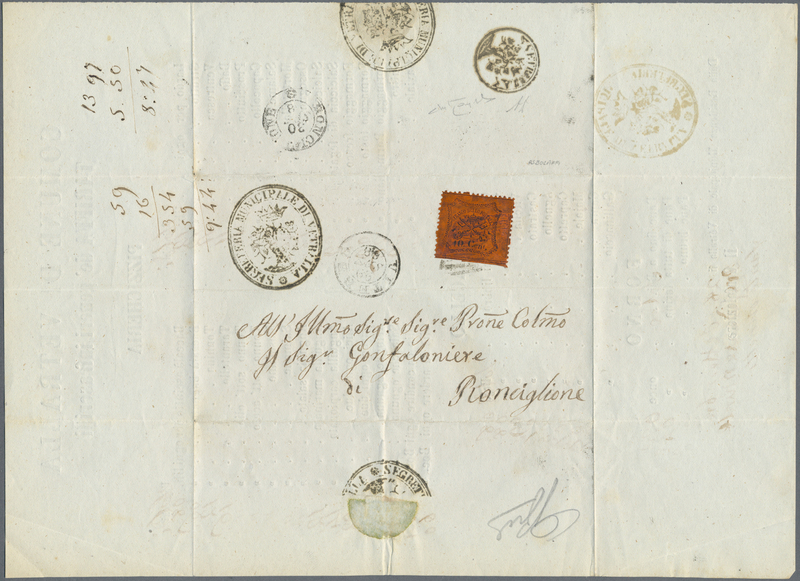 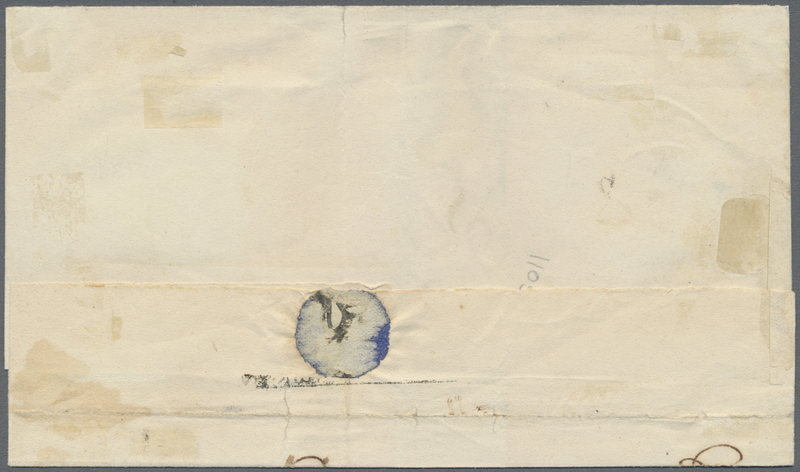 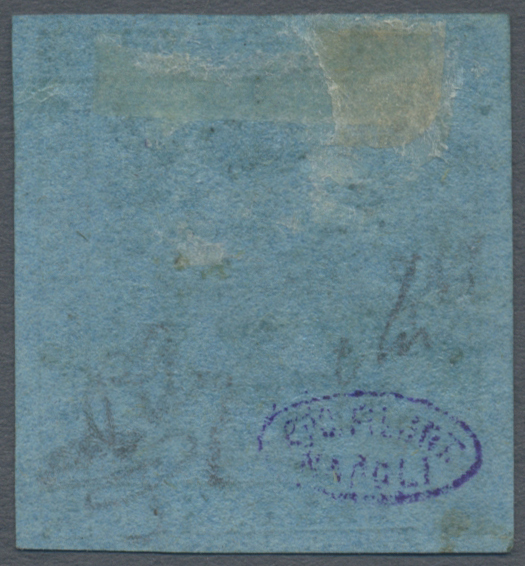 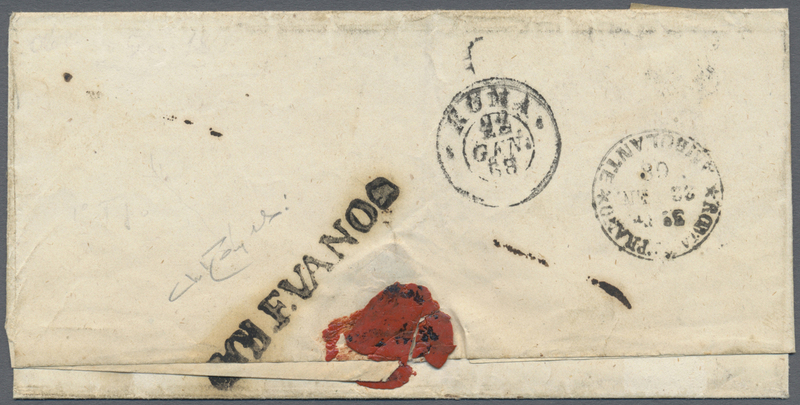 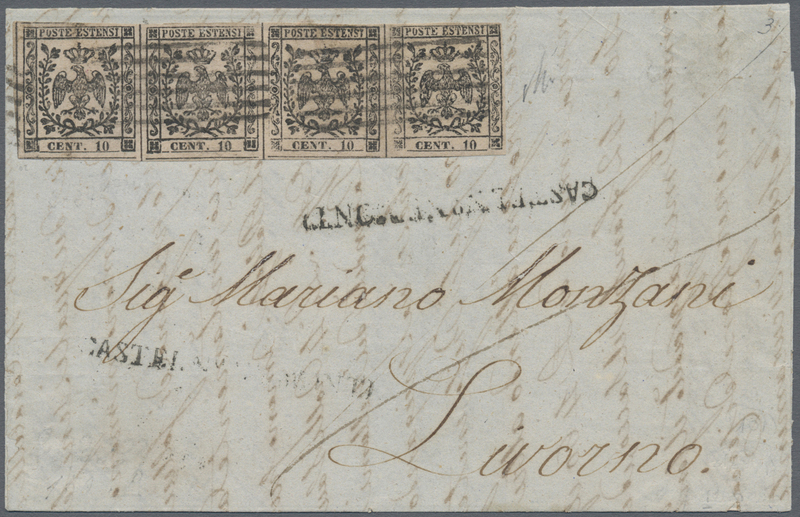 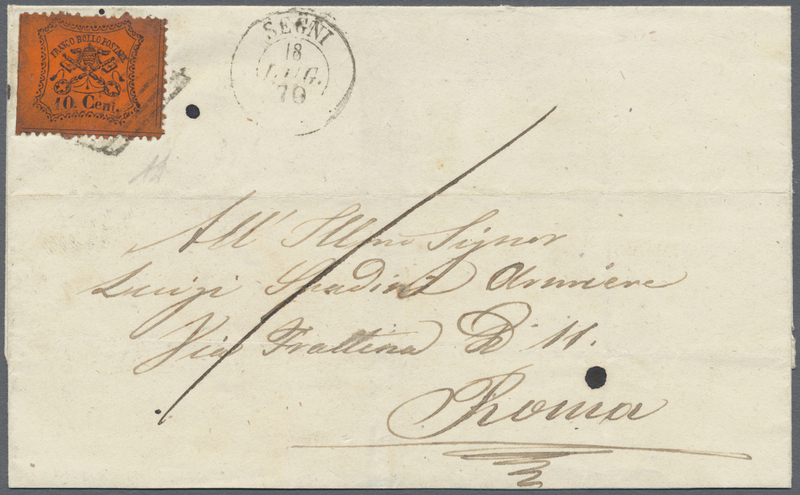 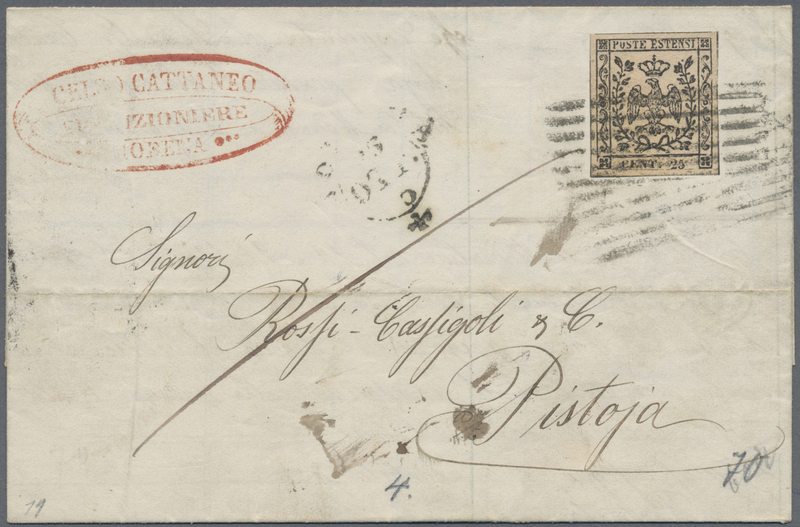 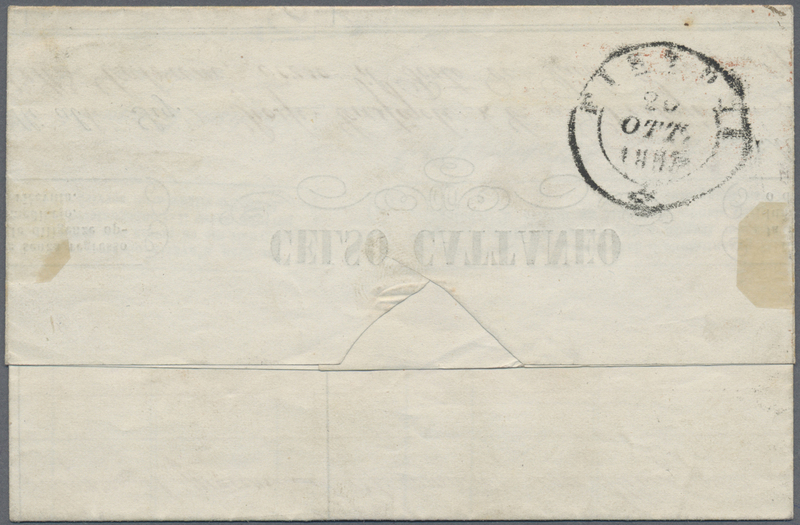 16669 Brief (cover) Sassone 30, 26 c, 25 1869, III. 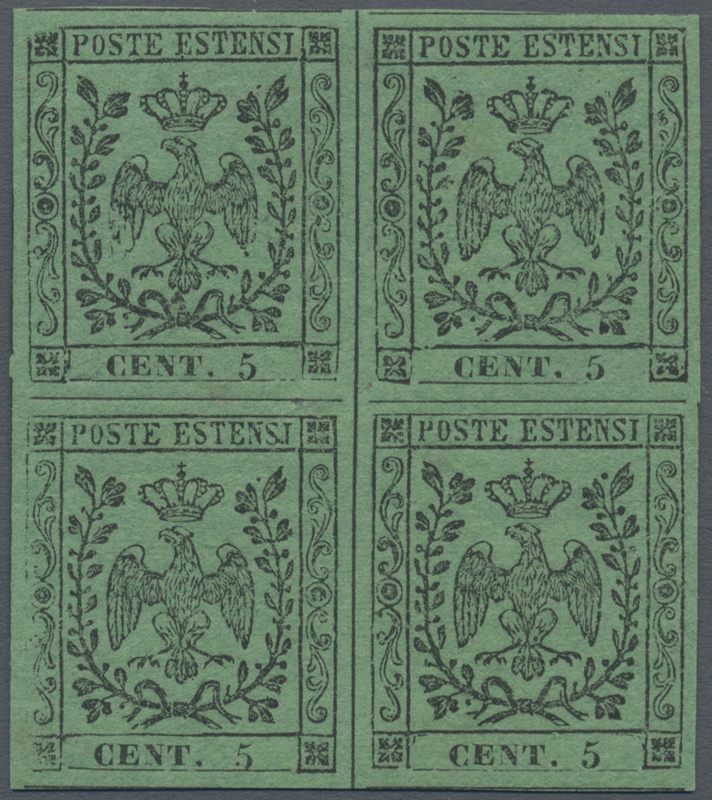 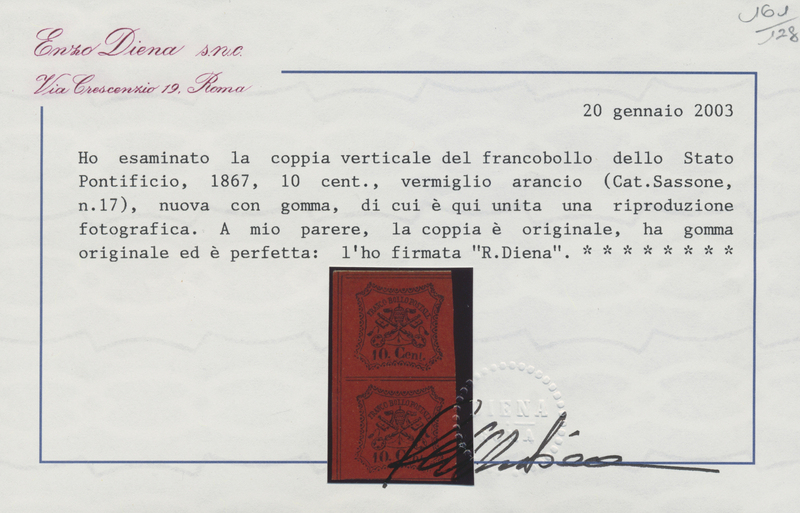 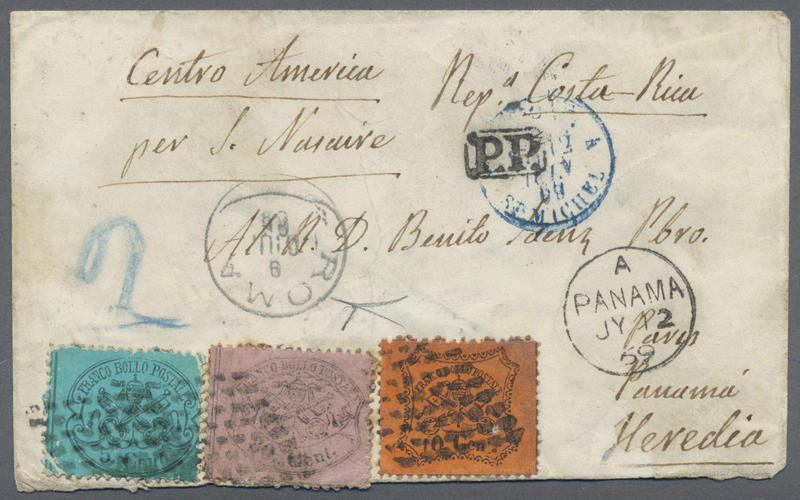 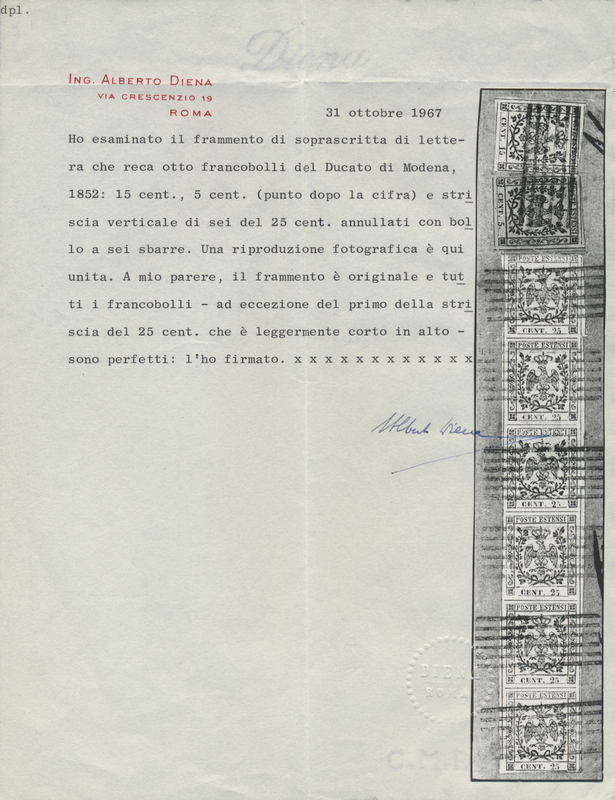 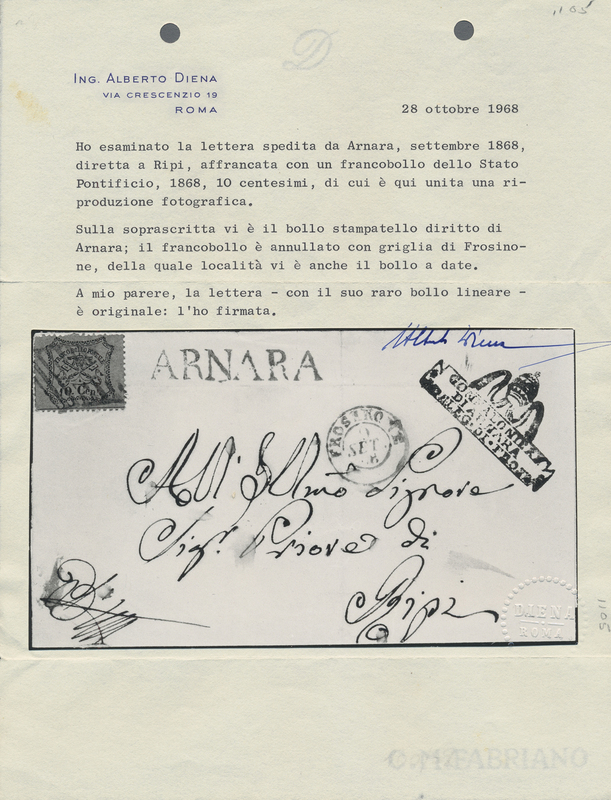 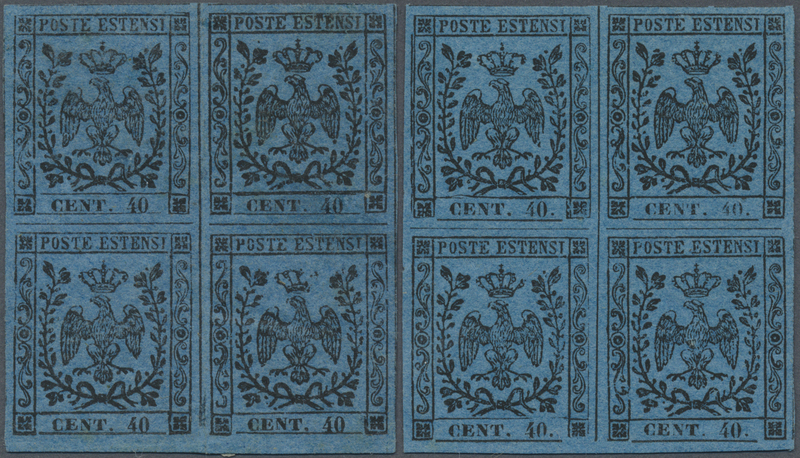 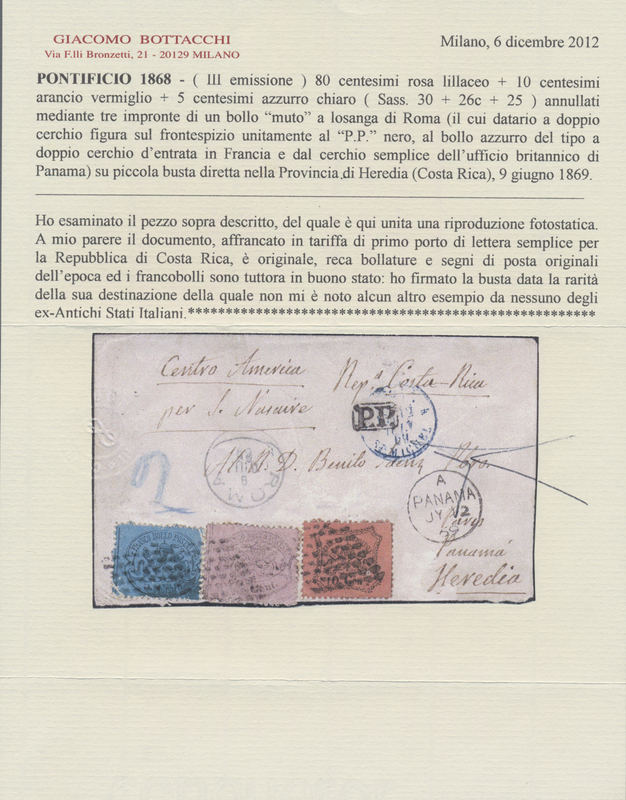 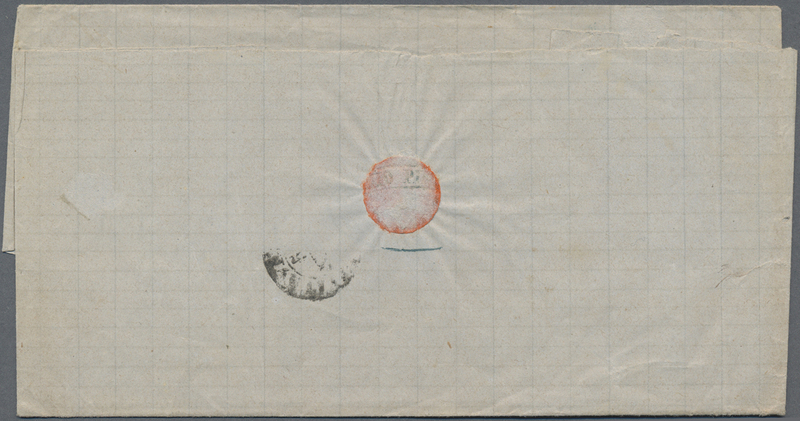 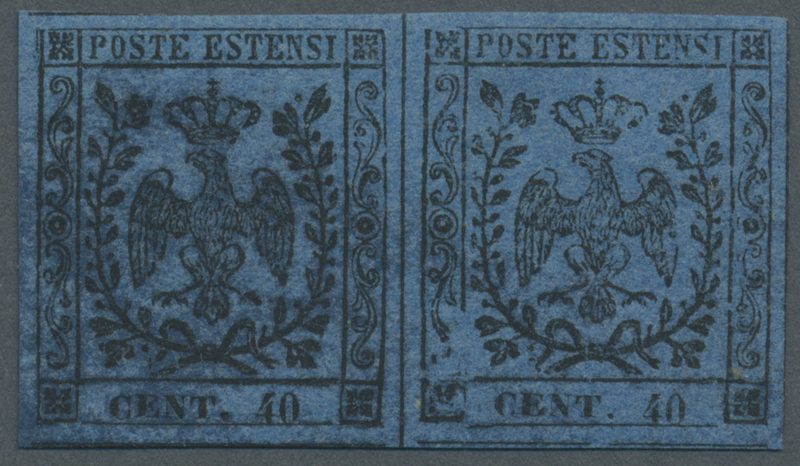 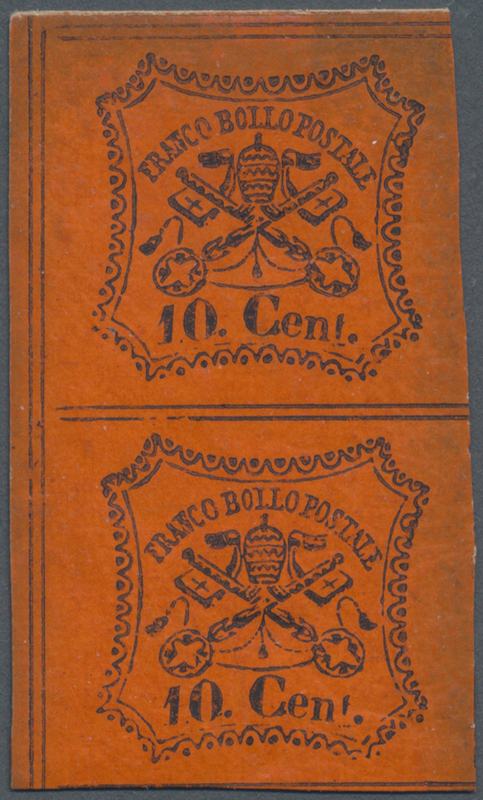 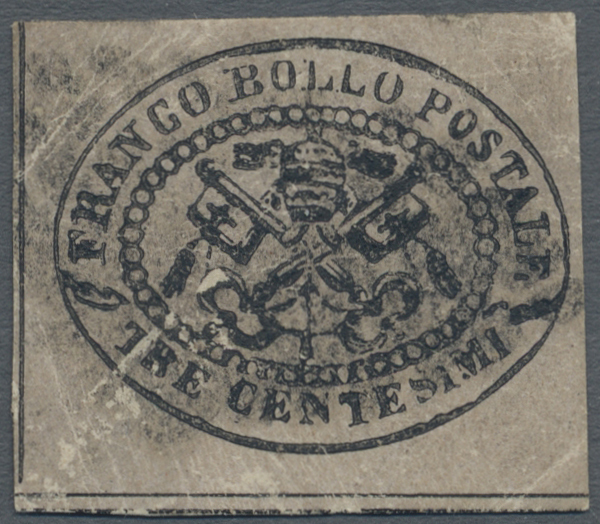 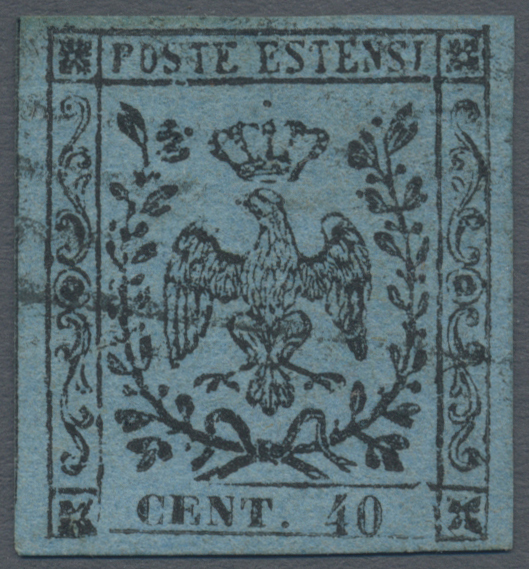 emission, 80 c rose, 10 c orange and 5 c blue, tied by the dotted papal grill to letter from ROMA 6 GIU 69 to HEREDIA/ Costa Rica m/s endorsed via St. Naziare and Panana (British post office mark on front). 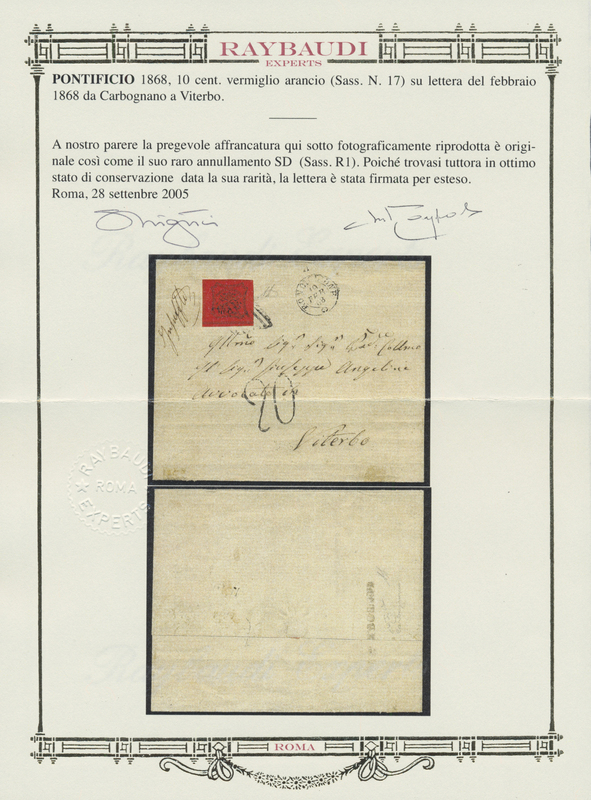 The letter shows a black framed P.P. 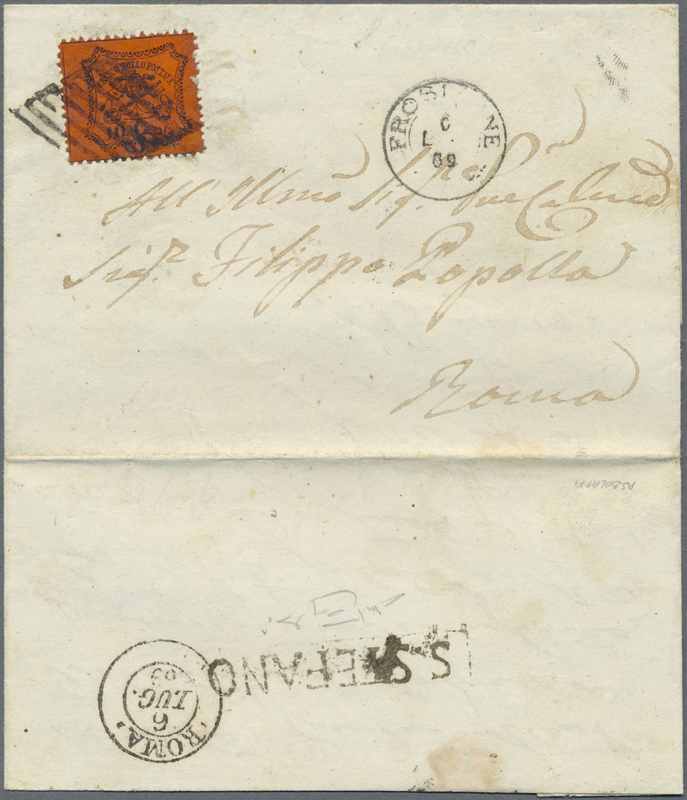 (indicating being paid to the port od disembarkation) and a blue m/s 2 indicating 2 reales charged on delivery. 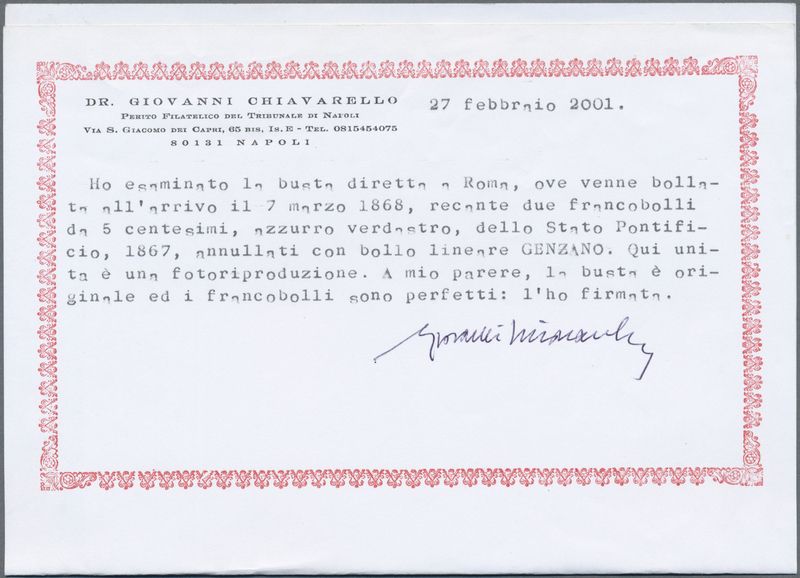 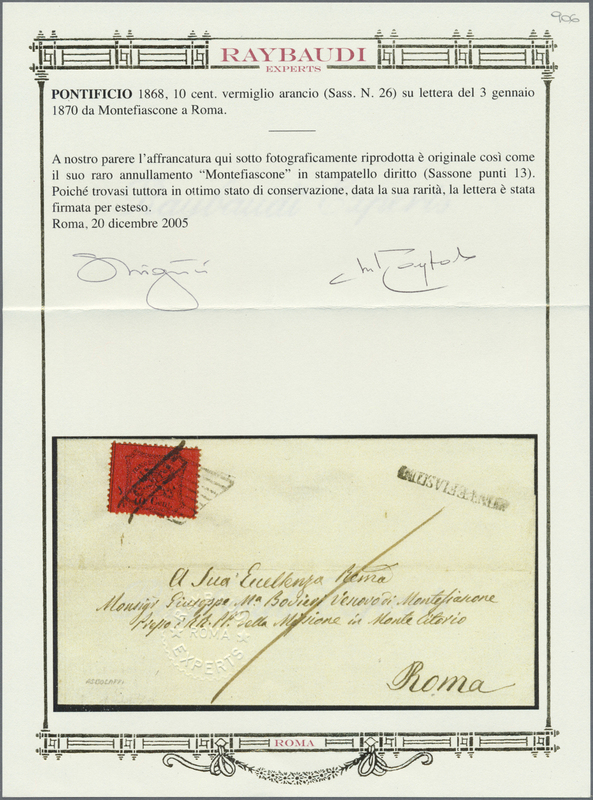 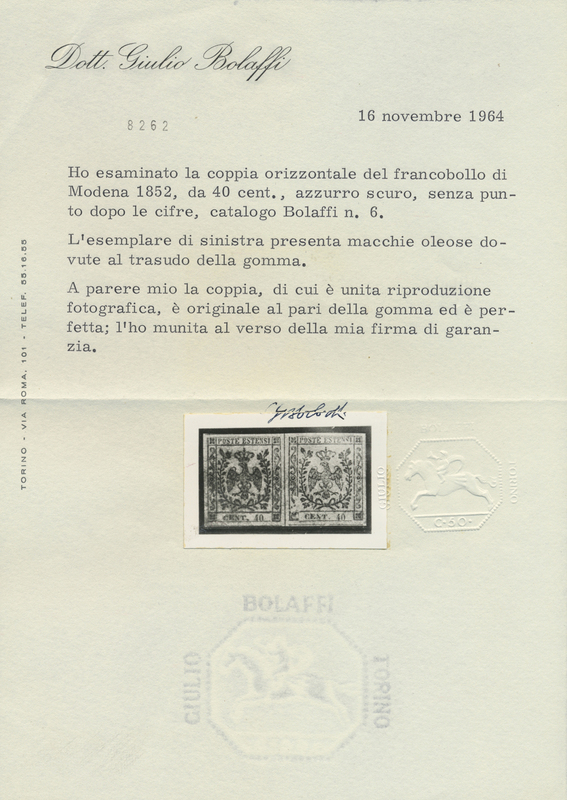 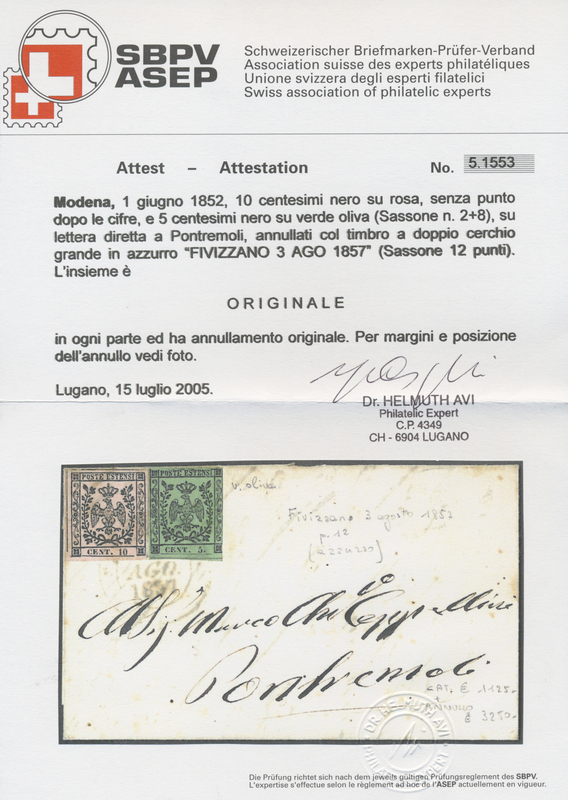 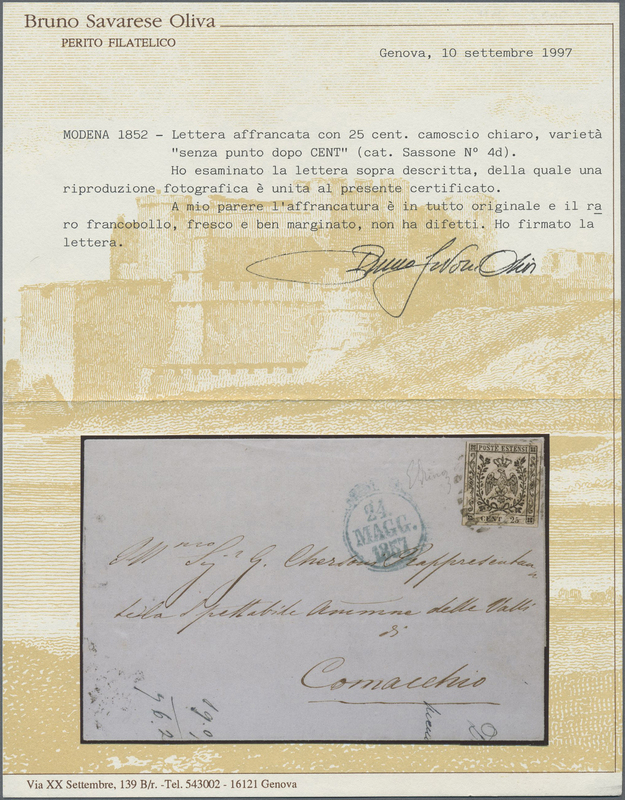 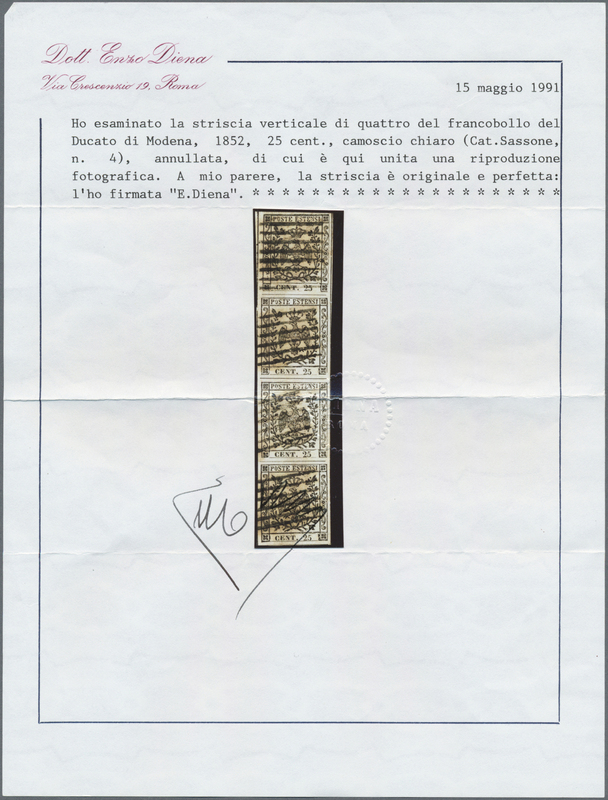 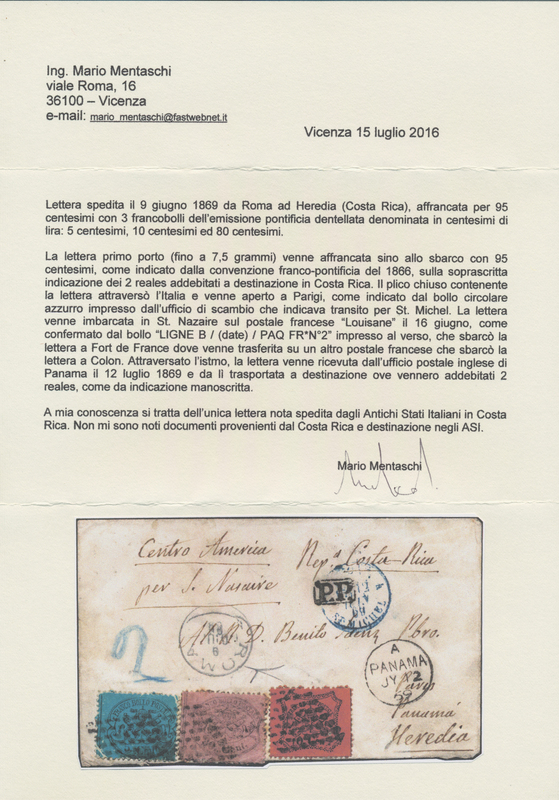 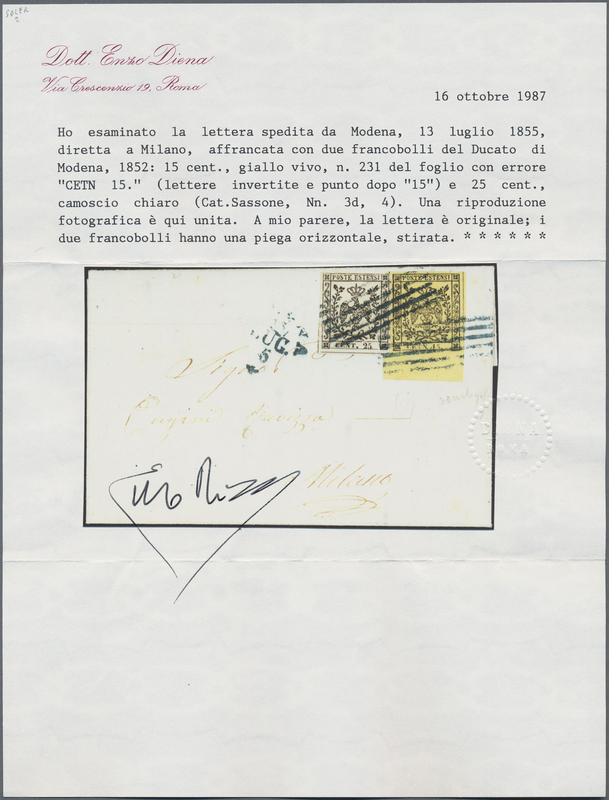 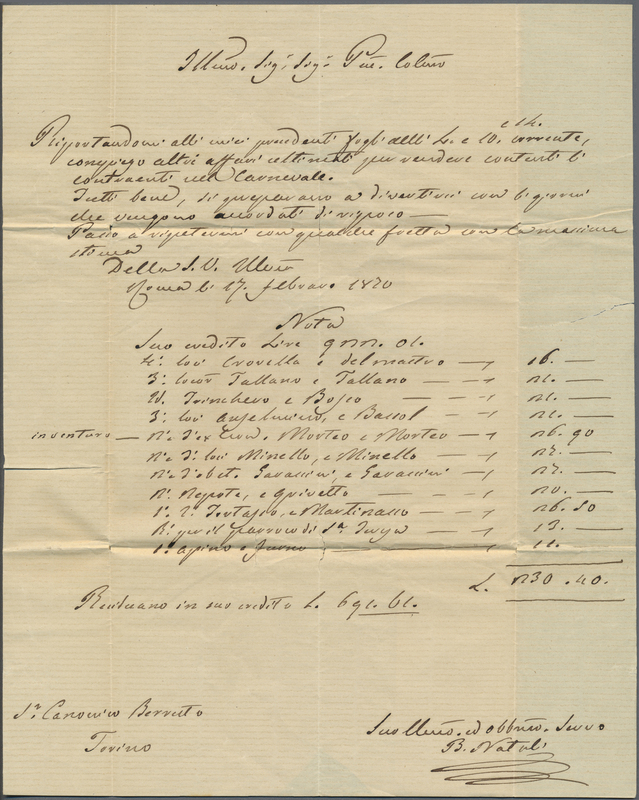 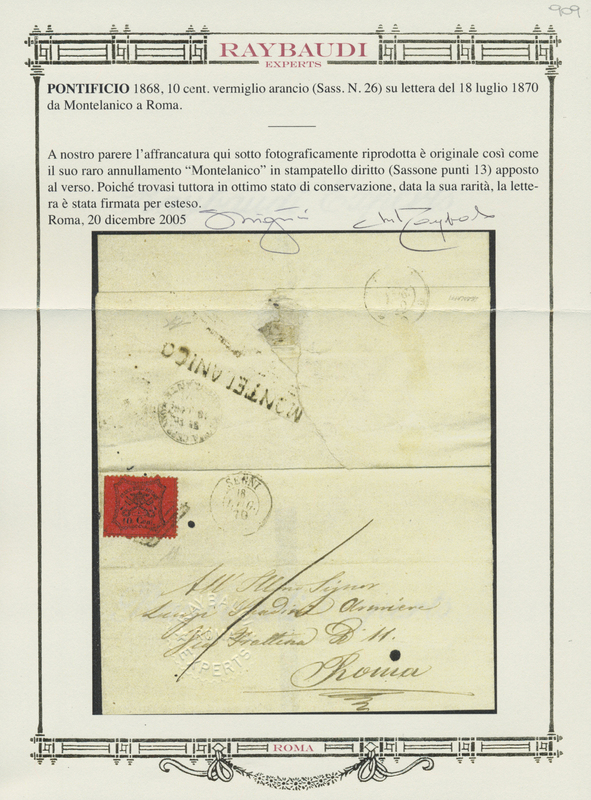 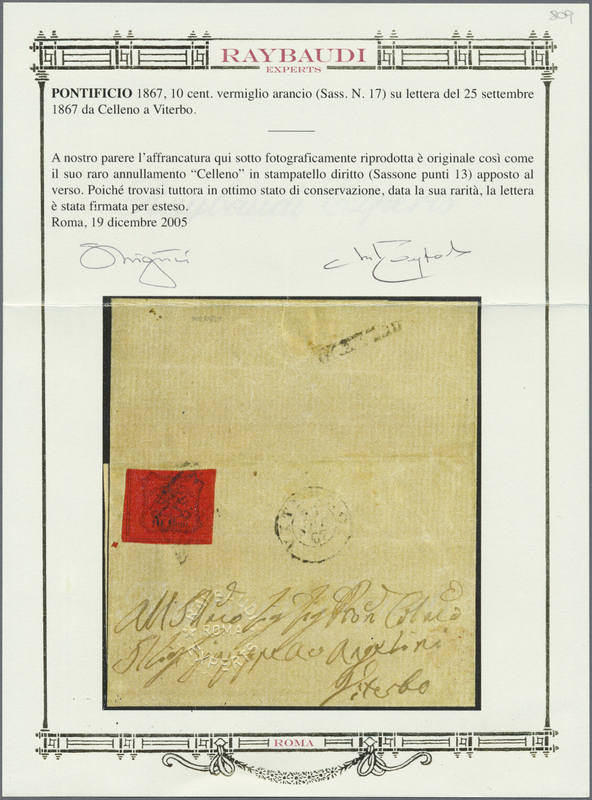 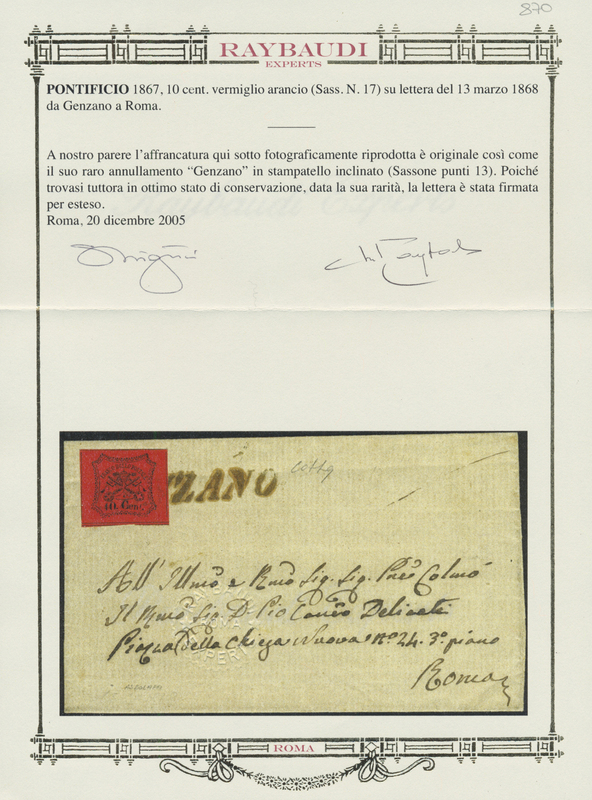 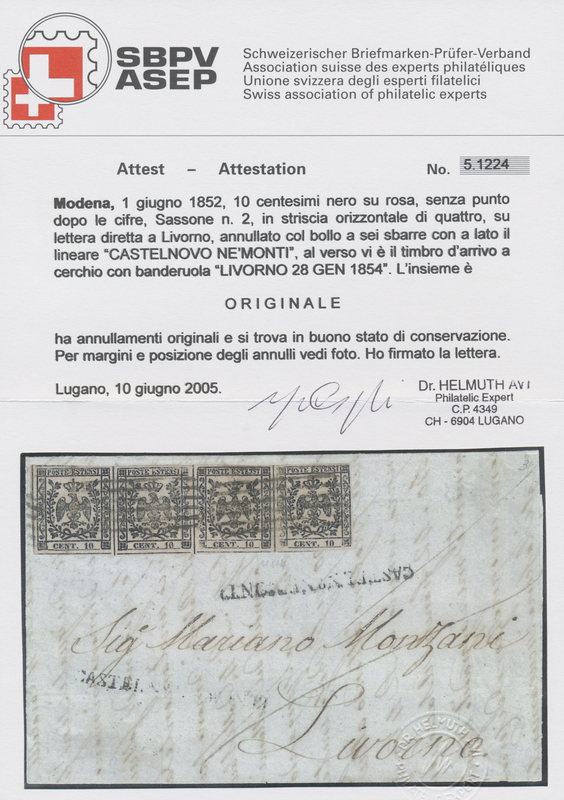 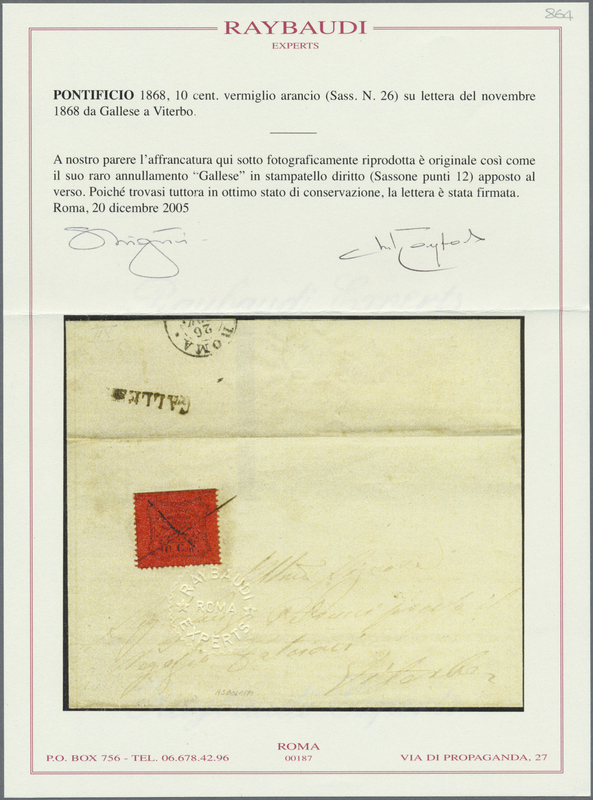 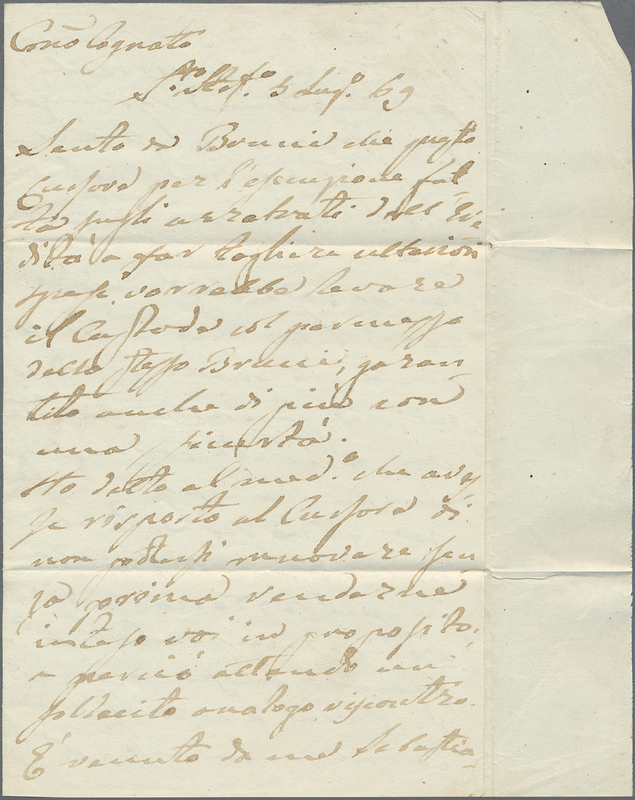 A blue french transit mark "St. Michel" and French ships post marks on the reverse allow the complete reconstruction of the route this letter has taken, see the attached certificate by Mario Mentaschi for details. 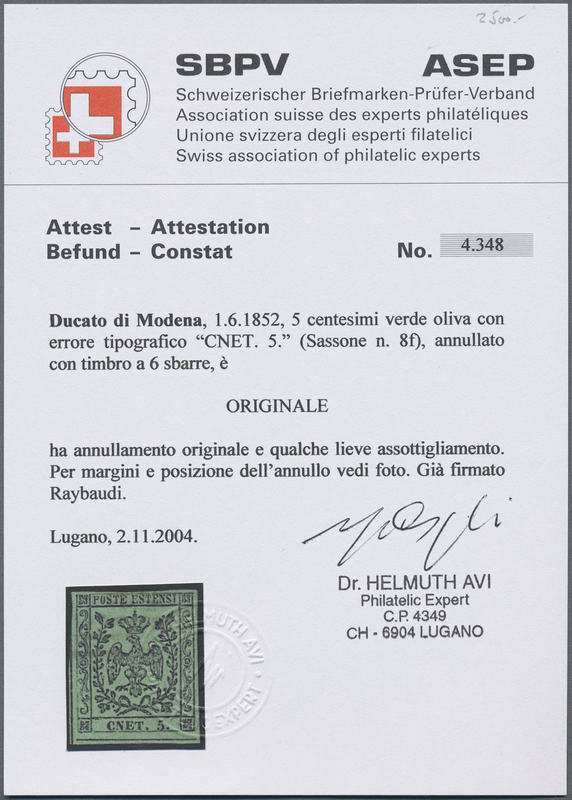 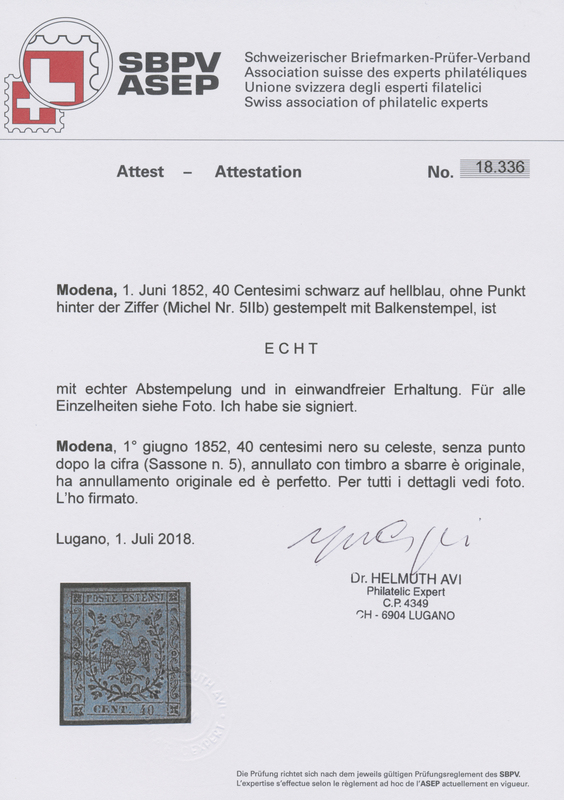 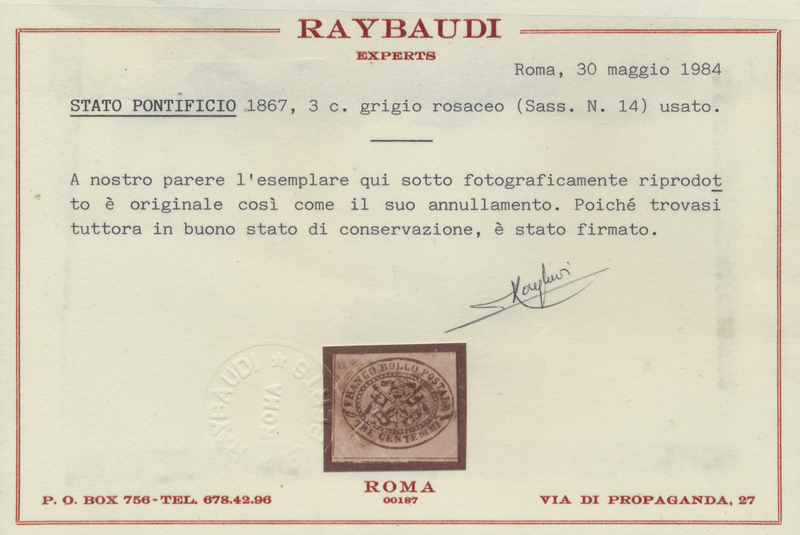 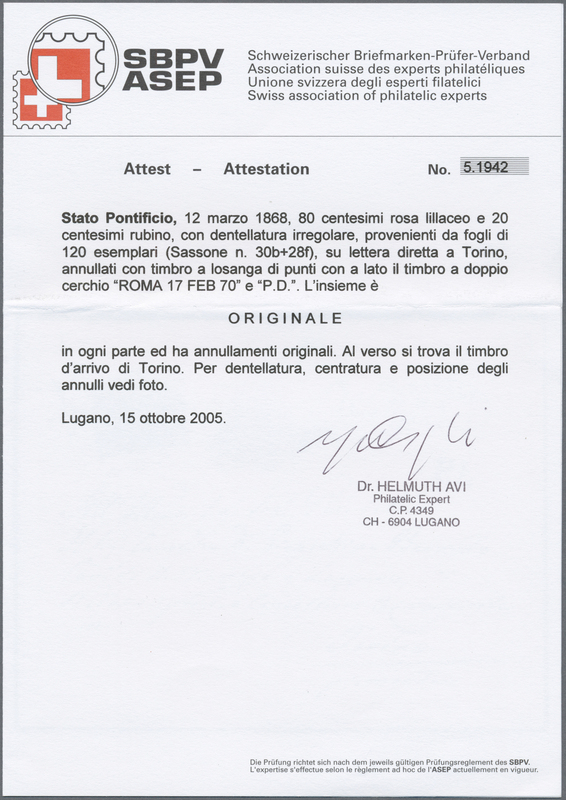 Also attached a certificate by Bottacchi. 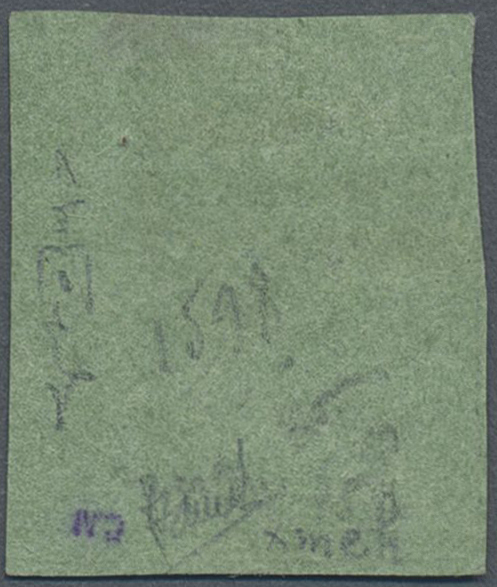 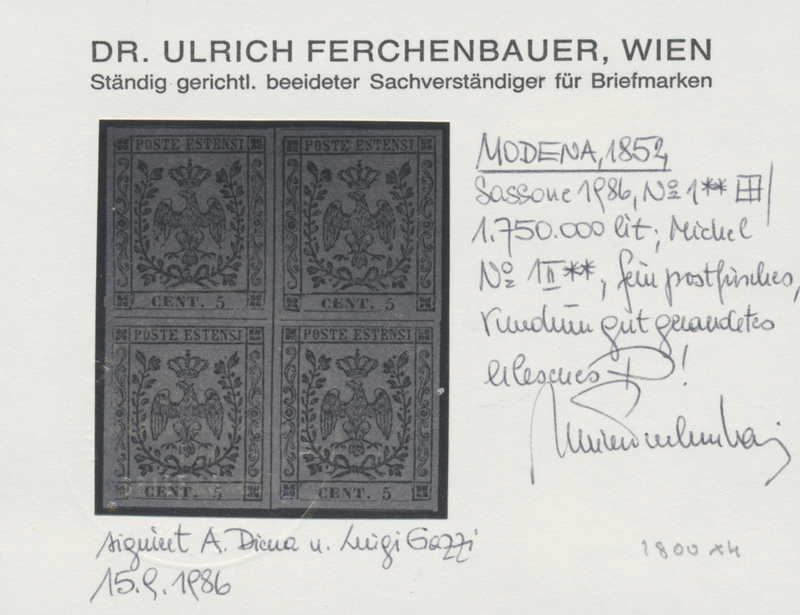 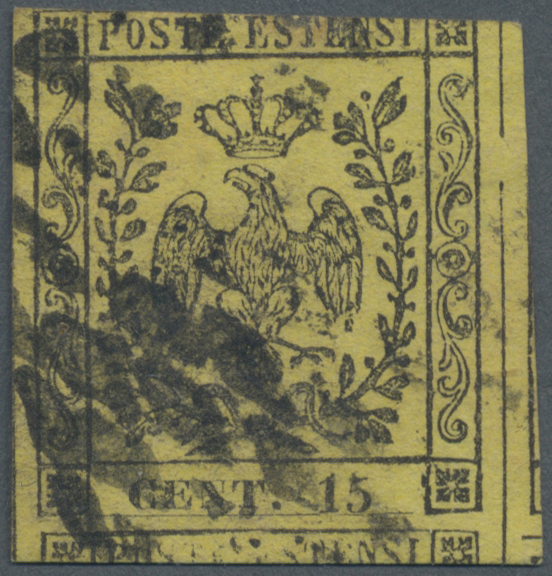 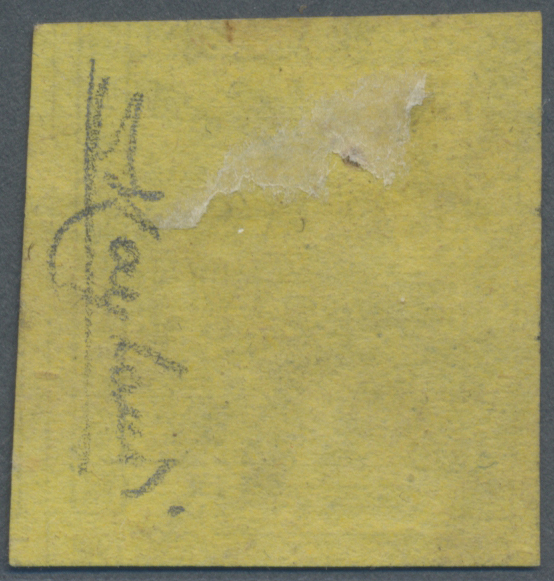 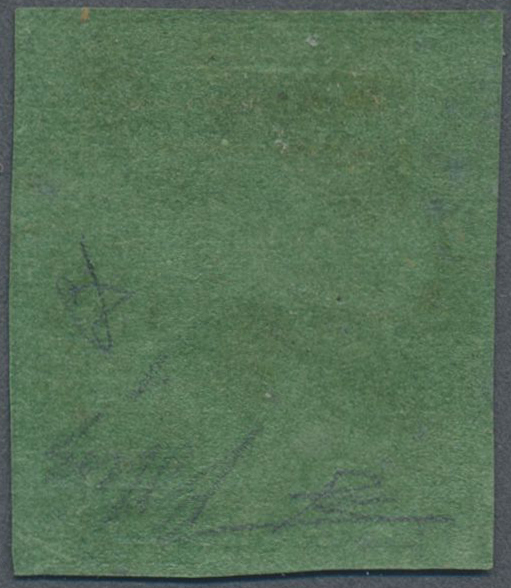 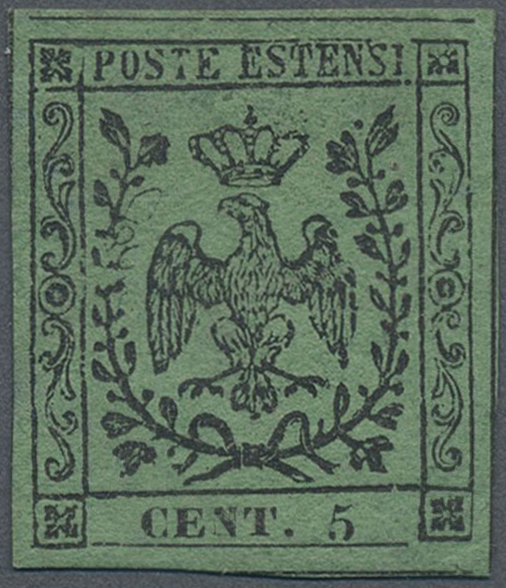 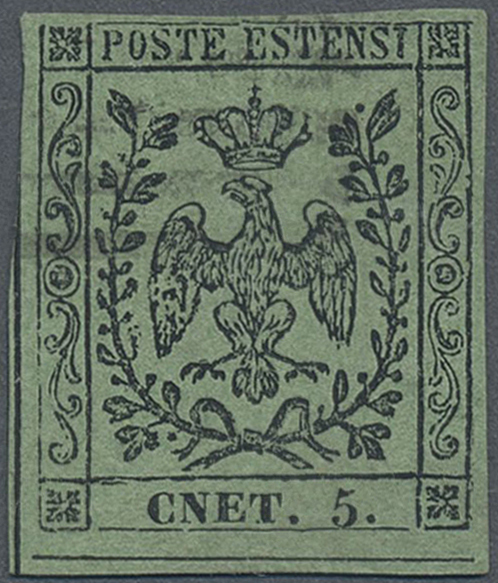 16680 Briefstück (on piece) Mi 4 II (6x), 1 II 3 1852: 25 cent black on chamois, vertical strip of 6, together with 5 cent black on green and 15 cent black on yellow, all tied by mute six bar killer to a fragment of a letter. 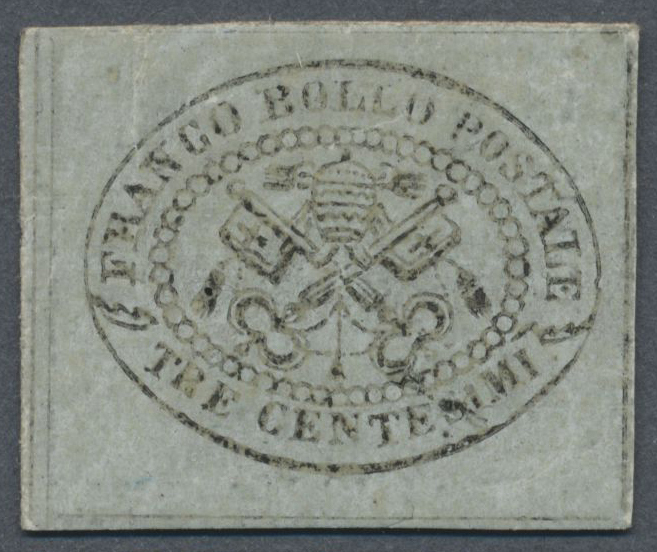 Very rare unit in F/VF condition. 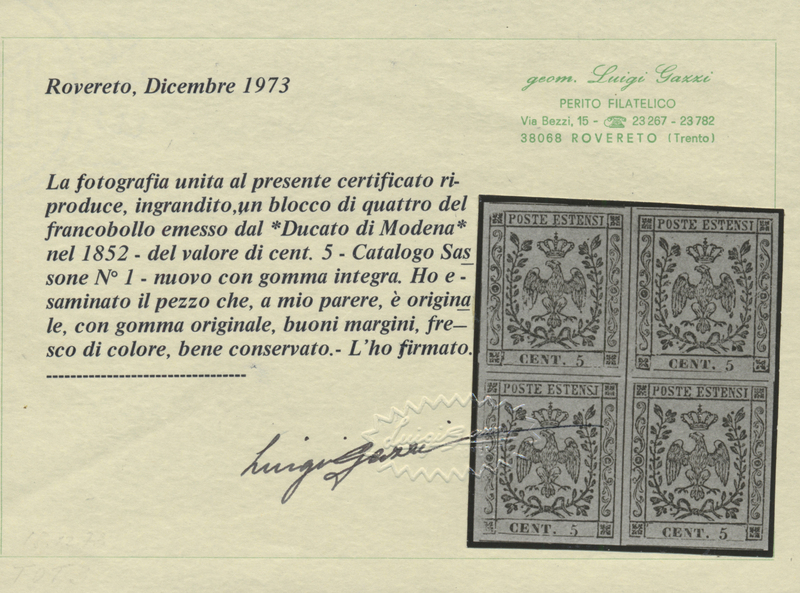 An exceptional and decorative show piece. 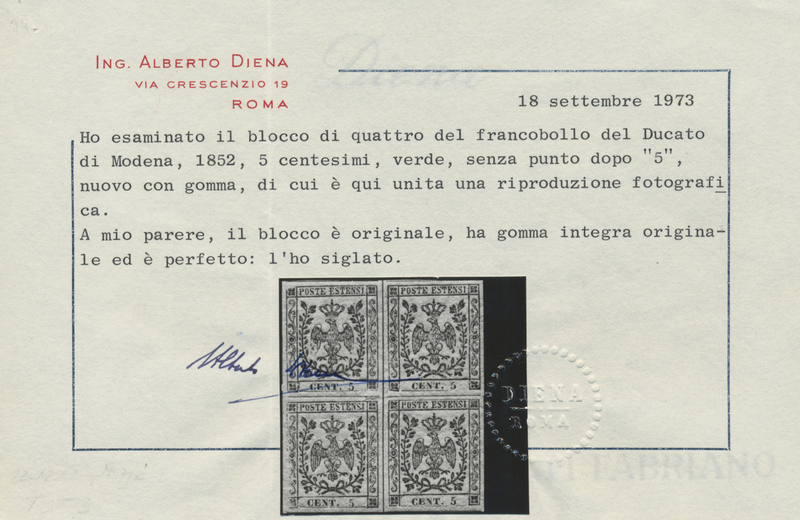 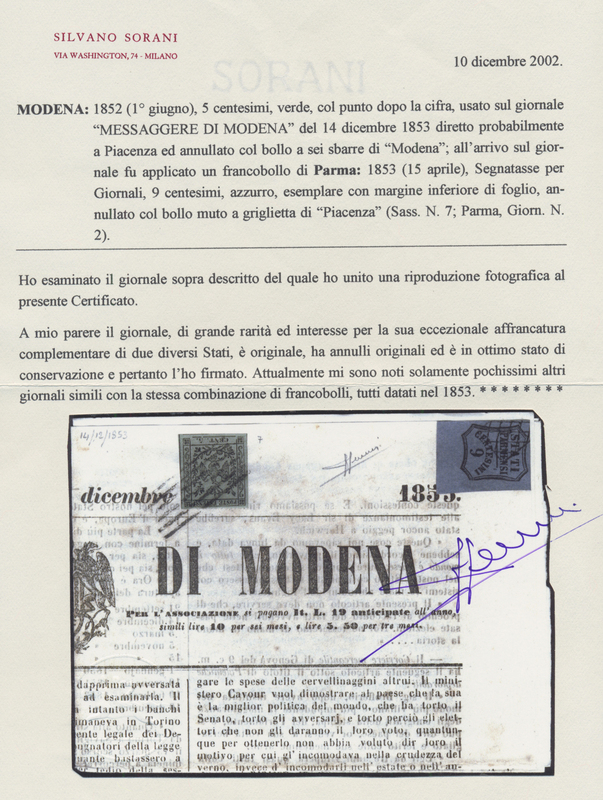 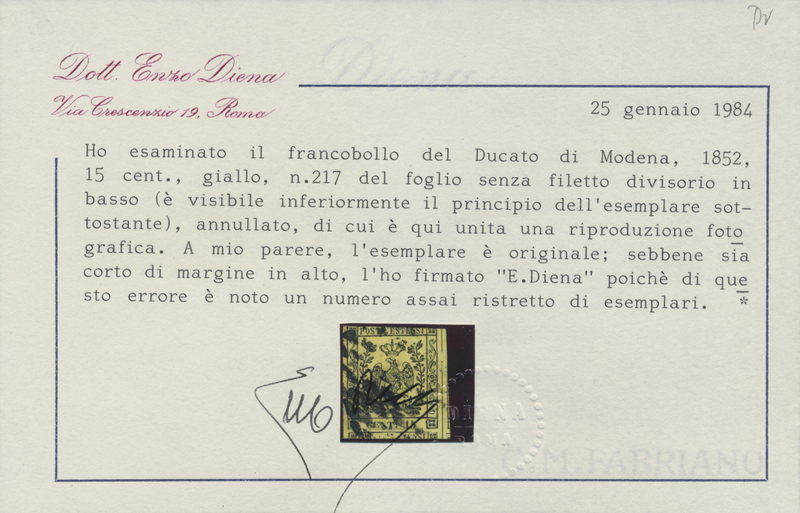 Signed and certificate Alberto Diena (1967).